As a wanderlust family, we love nothing more than visiting new countries and cities and experiencing all they have to offer. But with a young son in tow, it is very important that we can combine sightseeing for adults with fun things for little ones at the same time. Finding the most family-friendly cities in the world to visit is high on our travel priority list. But with so many cities to choose from, how do we know we’re picking the right ones to visit? So far, we’ve found Portland in Oregon to be very family-friendly, as was Barcelona, London, Missoula in Montana and Bled in Slovenia. But with many more countries on our family travel bucket list, we’d like a helping hand to know in which countries are the best places to visit with family, and hence have the best cities for families. To help us out with future travel plans, I thought I would ask my fellow travel bloggers which city they feel is the most family-friendly in the world. Amsterdam has been home for us for five years. It’s the only home my now three-year-old son has ever known and it’s where my second child will be born later this year. We specifically chose to start a young family in Amsterdam because it is so family-friendly. 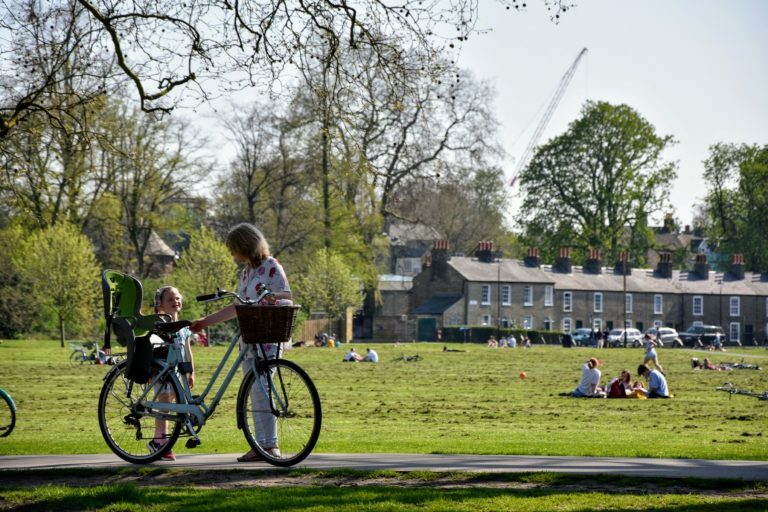 From being small and safe enough to get around easily, with excellent public transport, and of course, the world-famous cycling infrastructure, we live a very outdoorsy life for a city. There are playgrounds on nearly every street corner and most neighbourhoods have libraries, kiddy cafes and parks with play areas, sand pits and splash pools for all ages. Amsterdam’s central library is brilliant for kids of all ages from 0 to teens (with a wide range of books in different languages), and most of the museums have special tours or exhibitions for school age kids to enjoy. We also like how relaxed restaurants are about children with many having kids’ areas or at least decent high chairs, colouring books for kids and child-friendly food options. 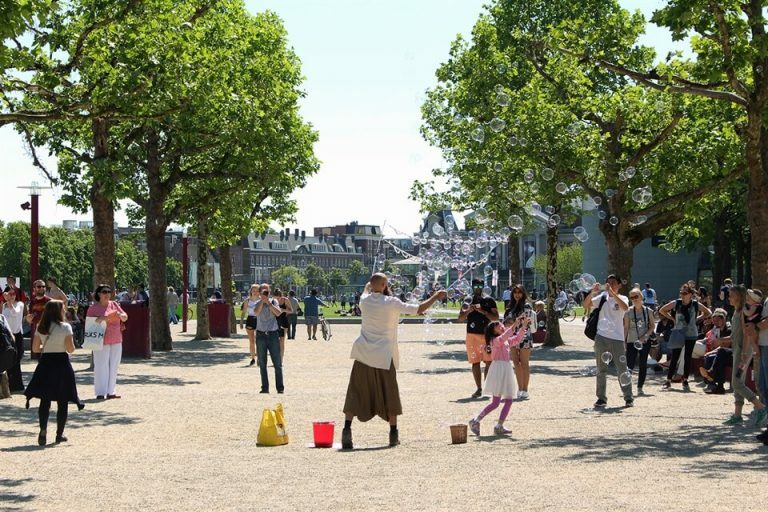 My best advice for making the most out of a family trip to Amsterdam is to get outside as much as you can – in the parks, or maybe even on one of the city’s beaches – and to take the free ferry to Amsterdam Noord which is entertainment enough for some kids, but also opens up a whole other side of the city! With a host of historical attractions and many contemporary exhibits, the British capital city just screams ‘kid-friendly’. Whatever age your children are, you’ll find something to please them in the metropolis of London. Many of London’s main attractions, like the Tower of London and the British Museum, are geared to be family-friendly, so they’re incredibly interesting for both you and your little ones. If any of you are Harry Potter fans, you’ll all be in your element at the Warner Bros Studio Tour; and just outside of the city are theme parks like Legoland and Chessington World of Adventures which are easily accessible by public transport. Not to mention the scenery of London, which is compelling for young and old alike. 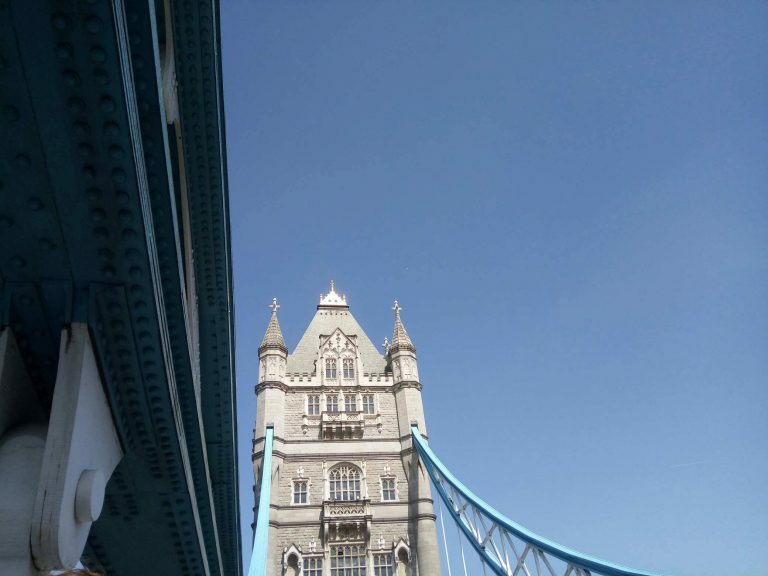 Your kids will love spotting red telephone boxes, exploring Tower Bridge and following the River Thames as it meanders across the capital. When you’re hungry, there are plenty of restaurants that are catered for kids bellies. For something a little different, check out The Rainforest Café for an Amazonian dining experience. Or check out Mexican chain Wahaca for a friendly, lively dinner. If you’re wondering where to stay in London with kids, being a little out the city gives you a calm, neighbourhood atmosphere. Kensington and Chelsea is the best neighbourhood options, with Notting Hill being a great place to stay as well. When we visited Geneva for the first time our daughter was only 6 months old. As a toddler, our kiddo loved running around and exploring the surrounding and Geneva has a lot of green space for kids. 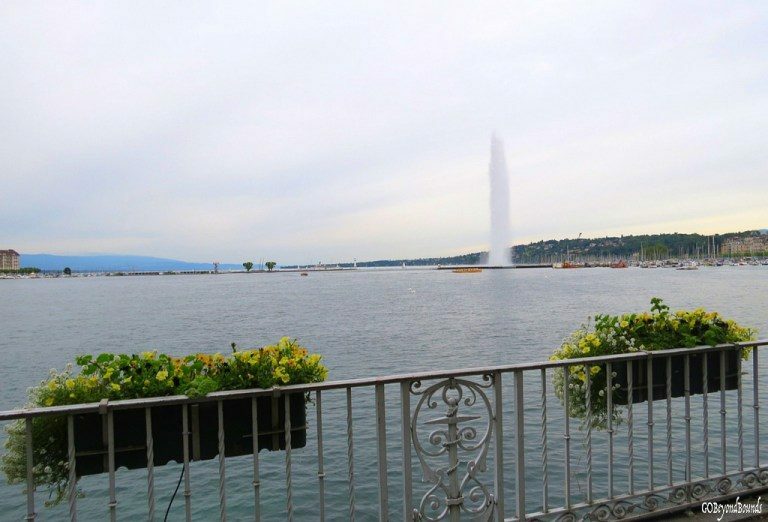 Geneva is known as the ‘City of Parks’ for more than a quarter of the city in parks and gardens. These parks have a play area for kids some also have small pools. Geneva is also home to a beautiful botanical garden rich with flora and fauna. There is a small section in the garden where you can find deer, peacocks, swans, ducks, goats in an enclosure. The public transport buses and trains in Geneva have space reserved for the strollers which made travelling very convenient. All the attractions, airport, train stations have clean and spacious baby changing rooms. Geneva has over 30 museums dedicated to art and history which are mostly educational for kids. And if you are travelling with toddlers you can visit the History Museum which displays life-sized models of animals and birds or the Patek Philippe Museum on the history and evolution of watchmaking. One of the best ways to explore the beautiful Geneva lakeside and breathtaking surrounding is by boat. Hop onto a cruise boat and enjoy the scenic vistas in and around the city. If you’re looking for a family-friendly city for your next vacation, you can’t go past the lovely Swiss town of Interlaken. Known as the adventure capital of Switzerland, Interlaken offers a host of things to do for all ages and it’s a perfect destination for those traveling with children. A ride on the Bodeli-bahn tourist tram – a horse-drawn carriage – is a great way to familiarize yourself with the town. Its departure point is opposite Hohe Matte, a large park in the centre of town where you’ll regularly see paragliders landing. Another fun activity for children is a ride on the funicular to the top of Harder Kulm, Interlaken’s very own mountain. 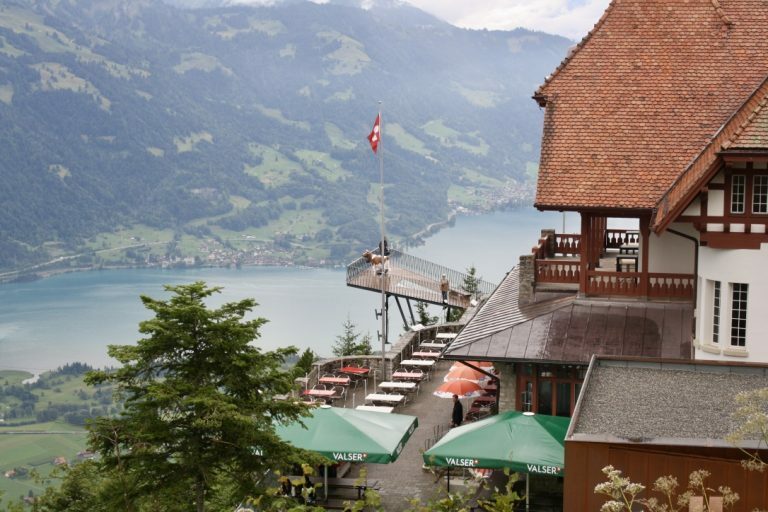 From here you have great views of both Lake Brienz and Lake Thun from the Two Lakes Bridge, a suspended platform built into the side of the mountain. Those with an enquiring mind will enjoy Jungfrau Park where six themed pavilions explore the mysteries of the world. There’s also an indoor/outdoor playground for younger children. With its location in the heart of the Bernese Alps, Interlaken is the setting off point for a number of family-friendly train excursions. These include the Victorian-era steam train to Brienzer Rothorn, a rack railway to the alpine garden at Schynige Platte, and the world famous train journey to the Jungfraujoch, known as the Top of Europe. Interlaken is a family-friendly destination year round with plenty of snow-based activities available on the nearby mountains in winter. If you are looking for family-friendly cities to visit in Europe, consider Copenhagen. It’s a beautiful travel destination with fun activities for most age groups, although like other Scandinavian cities, Copenhagen does tend to be a little expensive. Copenhagen is home to the Tivoli Gardens, the amusement park that is said to be the inspiration for Walt Disney’s amusement parks. With rides and games, it is an awesome place to take kids of all ages, and adults that want to indulge the kid in them! There are roller coasters for older children and kiddie rides for wee ones. And if your children don’t like rides, there are musical performances and pantomimes to enjoy. When it’s lit up at night, the park is a joy to stroll through. Other than Tivoli Gardens, children will enjoy viewing the statue of the Little Mermaid from the Hans Christian Andersen fairy tale, and posing for a photo with her. Watching the changing of the guard at Amalienborg Palace is wonderful. And if you and your family are looking for a green space to enjoy, the King’s Garden is the ideal place to go. You can picnic on the grounds and enjoy some chill time here. Copenhagen is a fun destination and very family-friendly. I hope you consider a visit soon! 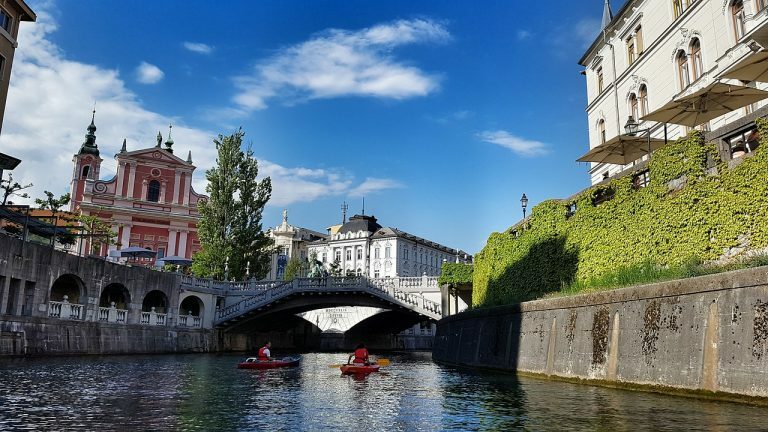 Ljubljana, the capital of Slovenia, is well worth exploring and thanks to various offers of activities, keep a family entertained. Green spaces, nature parks, a safe city are only some of the reasons why is this city family friendly. The city boasts plenty of pedestrian areas and many playgrounds for children. There are regular events and activities for children on the streets, also one mini Summer – International festival for children and many different fun parks for the entire family. Tivoli Park is the largest and most beautiful park in the city. Your kids will love a big playground there, while parents can enjoy drinking a coffee in the lovely bar next to it. From Tivoli Park, you can go for a stroll to the top of the hill, named Roznik. Woop, Trampoline Park is a place where you jump in more than 100 connected trampolines. A theme park is MiniCity Ljubljana, for toddlers from 3 to 12 years with educational programmes, events and workshops. Teenagers can experience a combination of fun and inspiration in Museum of illusions and House of experiments. There is also a super big waterpark for all the family with many choices of pools, saunas, slides and animators for children. Another advantage of the city is free of charge public urban transport for kids up to the age of 6. Brasov, in the Transyvania region of Romania is the perfect place for a family trip. The small city itself sits in the Carpathian Mountains and is a charming and historic place to visit. The surrounding region is perfect for the adventurous family who like to get out into nature. The Carpathian mountains are a stunning region dotted with many incredible hiking trails of all levels, many beautiful villages and enchanting stories that families love, such as the legend of Dracula, whose castle you can even visit! Brasov is great because you can keep coming back as your family gets older. From taking the cable car up to Baba Mare from the village of Busteni with younger children to tackling the 5 hour hike with young adults. It’s the perfect place to inspire a love of nature and history in your family with a trip to such a fun and beautiful place. 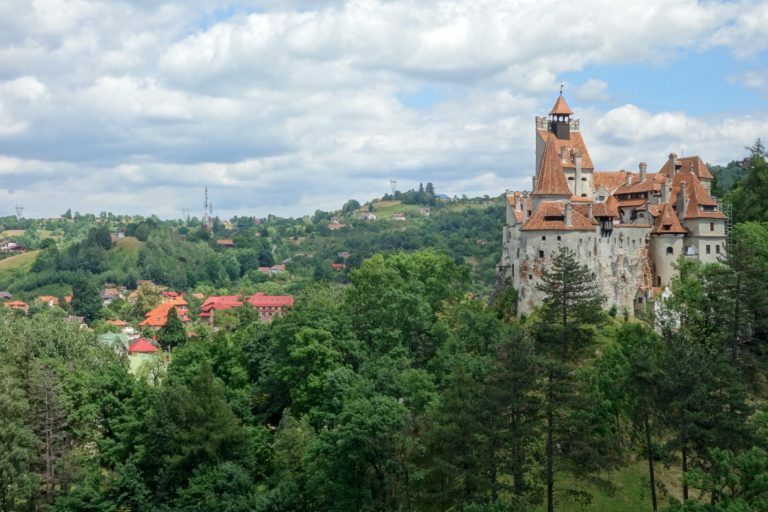 Visit Bran’s castle, the birthplace of Dracula! Hike in the Carpathian Mountains or take the cable car from the beautiful alpine village of Busteni. Take a trip out to the Transfagarasan highway. Take the short hike up to the “Brasov” sign above the city or the cable car if travelling with a young family. Explore the historic streets and medieval buildings, some dating back to the 14th century. There is something about Paris that captures the imagination of the youngest of travelers. 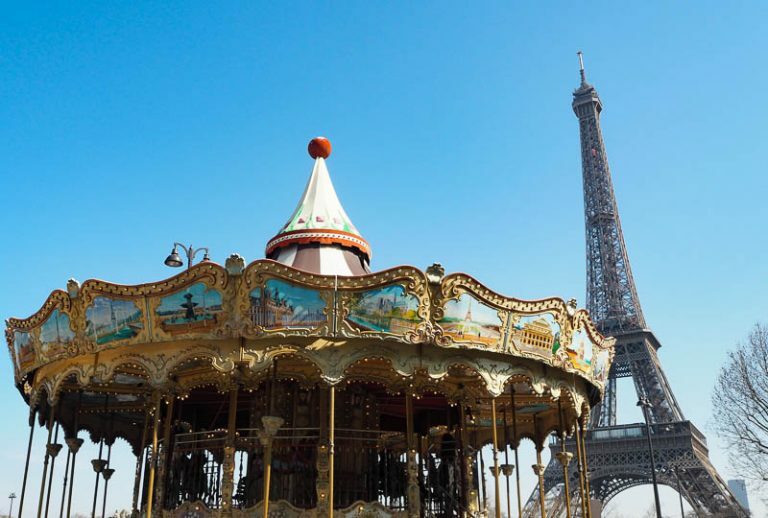 Whether it is iconic buildings like the Eiffel Tower, beautiful gardens to play in or the delicious treats on every street corner, Paris is the best city to visit as a family. Paris is great for all age groups, from toddlers to teens. It is compact and easy to get around and has a wide variety of activities to suit all interests. Take a boat cruise down the Seine, enjoy the Luxembourg Gardens or a wander around Montmartre. Plus there are beautiful vintage carousels to ride on at many spots throughout the city. I’m yet to meet a child who does not love a carousel ride. When it is time to eat there are so many tasty kid friendly options – from crepes and omelettes to half sized versions of classic French dishes for your budding gourmet. Not to mention the macarons and delicious ice creams. The first thing you must do when you arrive in Paris is head straight to the Trocadero square for iconic views of the Eiffel Tower. This experience sets your family trip up to be a memorable one. No one forgets this first glimpse of beautiful Paris. This is probably not the first city you would think of going to but most people especially family travellers are missing a great, fun, and affordable destination. 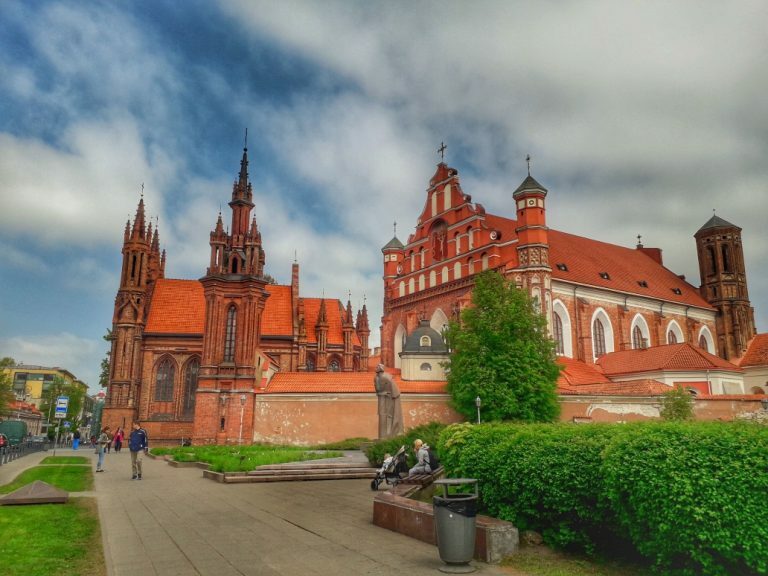 There are a lot of things to like about Vilnius in Lithuania, there are cheap flights with Ryanair to here, while food, transportation, and things to do are from free to very cheap cost. In summer, you can hop with your family on a city bike that you can use for free as long as you register online. You can head to the Green Lakes which is a man-made beach where most locals will go to picnic and swim. It’s easy to reach from the city centre, where local buses are only 1 euro each way. There, you can also rent a kayak boat for 6 euro where 2-3 people can sit on, if you are with a kid. They provide life vests for kids as well. During winter, bring your family to Trakai Castle, a castle in a middle of the lake. When it’s very cold, the lake freezes and the castle staffs will give a go signal if it’s safe to walk on the frozen lake. Family travellers of all ages can enjoy Vilnius even with toddlers since Uber cost almost next to nothing. 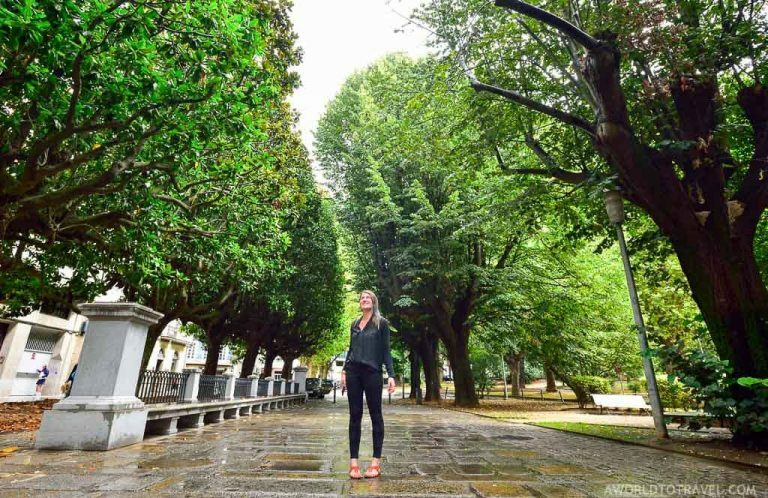 Although we don’t have kids so far, it is easy to see why we would enjoy exploring a city like Ferrol, on the Northwest coast of Spain, with children. Based in a natural estuary and surrounded by sandy beaches surfers rave about, old fortresses that help tell the stories of this unique land called Galicia, events all year round like the Meninas de Canido festival when the streets of this otherwise quiet neighbourhood get filled with pro and amateur painters for a weekend of non-stop fun, many green areas to play and simply chill, maritime museums and shipbuilding industries that can be visited to admire its huge scale and more restaurants than I will be ever able to taste, make it a paradise for the whole family. If you decide to put it on your list and need more tips, do not hesitate to get in touch! We’ll love to help you enjoy Ferrol at its best. Bath is one of our favourite cities in the UK, and it’s especially great to visit with kids in tow. The whole city centre is a UNESCO World Heritage Site. Families will find plenty to occupy even small children, although many of the museums are aimed at kids aged 5+. Bath’s historical attractions are one of its main draws. You can learn about Roman history at the Roman Baths; there’s a kid-friendly audio-guide, treasure hunts and costumed characters to entertain the children here. There are plenty more museums, ranging from art galleries to fashion exhibits and displays showcasing Bath’s Georgian history. The city is beautiful just to wander idly about; the shopping is great and the Georgian architecture is unique. 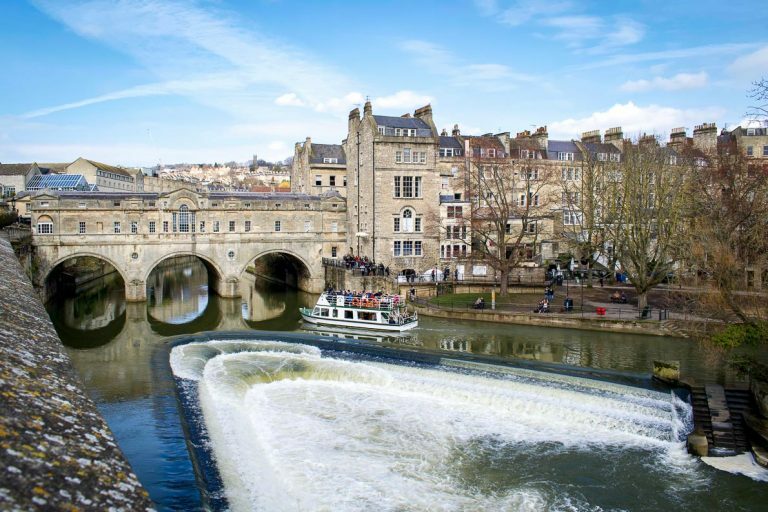 Bath is relatively compact which means that its attractions are easily reached on foot but you can take a hop on hop off city bus ride (which smaller children will love). Bath also has some fabulous parks and gardens. There’s a great adventure playground near the centre which will keep smaller kids entertained for hours. You should also explore the botanical gardens and go up to the Prior Park Gardens and the Bath skyline for views over the city. There’s always something new to see in this beautiful city and our kids are always happy to visit for the day. Bath should definitely be on your UK bucket list! Nantes (France) is the former capital of Brittany and a great destination for families, with many things to see and do for kids. The city is crossed by the Loire river and in the past, it was famous for its big shipyards. 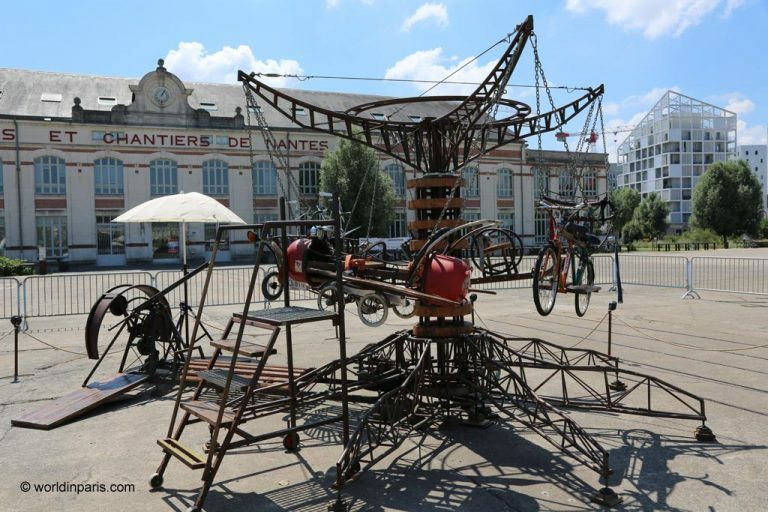 Today the former shipyards host Les Machines de l’Ile , a group of unusual and quirky machines loved by kids and adults alike. Amongst these machines, there is a giant elephant who likes to wander around with 50 people on his back and he loves to spray kids with his trunk! Also, there is the beautiful carousel of the Sea World populated by fantastic sea creatures which was voted the world’s most original attraction in 2014. Nantes is Jules Verne’s birthplace and his museum is a great place to learn about him and his adventures. 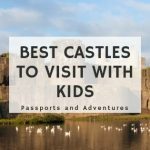 Kids will also enjoy exploring the Dukes of Brittany’s castle, in the heart of the city, with the entrance through a drawbridge and the exit through . . . a slide! Finally, don’t miss Nantes’ delicious crêpes and galettes, after all you are in Brittany! Also, there are many yummy cakes like “le gateau nantais” or the Kouign amann. Rome is an incredibly family-friendly city. We recently had an amazing five-day visit to the Eternal City with our three kids (aged 3, 8 and 10). So many iconic landmarks in this walkable city that are are free for all visitors, including the St. Peter’s Basilica, Pantheon, the Spanish Steps, the Trevi Fountain, the Borghese Gardens, Piazza Navona and the Mouth of Truth. And, kids were free at the Colosseum, Forum and Palentine Hill and on the Metro (under 10). My older children gained a new understanding of history, art and religion as we explored relics and monuments dating back thousands of years. Also, every meal was divine, and my husband and I enjoyed every glass of wine we ordered. 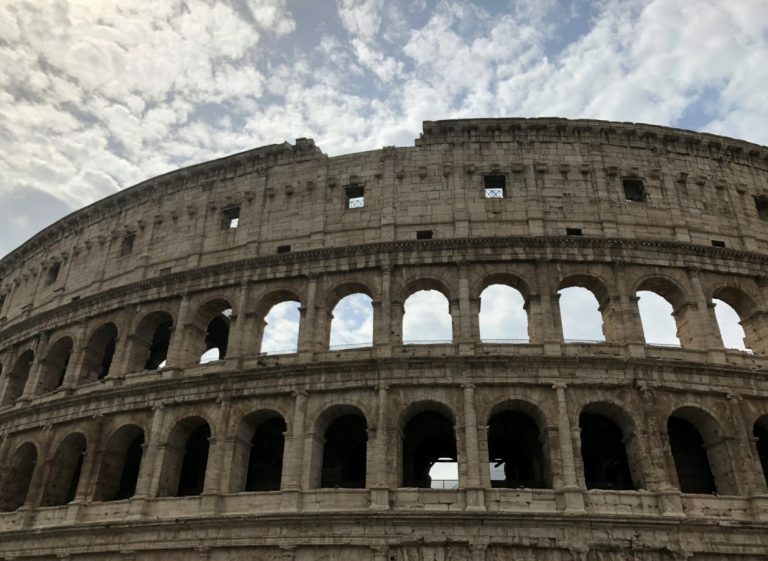 While the sights may have been more appealing for my older children, my three year old was completely fascinated with the Colosseum, all of the fountains, the beautiful buildings and the Pinocchios she discovered in souvenir shops. She was desperate to light candles in the churches and cathedrals we visited and learned how to use tour headsets. Our stroller caused minor challenges at times, particularly on the cobble stone, but I wouldn’t hesitate to take a younger child to Rome, especially if gelato is on the agenda every afternoon. 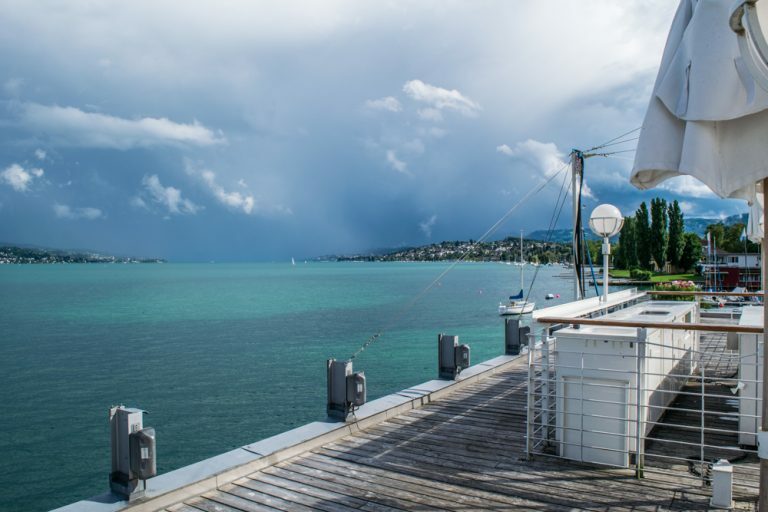 Switzerland in general is a great destination for kids and families who enjoy being outdoors – and Zurich is a fun city to visit with the family. Zurich is big but not so big to feel overwhelmed when visiting with children. Kids will love the biggest city in Switzerland (and also adults will love it, too) for many reasons. Lake Zurich is incredible – the water is clean and you can, at least on warm days, easily hop into the water which is what many people do. There is no extra fee for swimming there (and you have lovely greenery to relax) which makes it also a fun thing to do for free. But of course, a Lake Zurich boat ride is another perfect activity for the whole family. If you like to be more active yourself, book a pedal boot and enjoy the city from the water. There is definitely no shortage for things to do in Zurich with your family – so I suggest adding Zurich to your bucket list for the next trip! Every little traveller is different and that’s why it’s important to pick a location that has variety. Cambridge really does have something to offer everyone and you can be sure all of the party will have a great time. Conveniently well connected with London, Cambridge is easy to get to and although the town is diverse it’s a comfortable size to travel around. One of the main draws of the city is the world famous Cambridge University which is truly a marvel to explore. One of the best ways you can see the University is by taking a river tour straight through the heart of the city. The small wooden boats travel through the most beautiful locations, including world famous landmarks like the Bridge of Sighs and Kings College Chapel. You can choose to have a chauffeur who will push the boat and give you a history tour, or you can hire the boat yourselves and the whole family can have fun pushing the boat along the leafy river. In such a small city you really are blessed with a huge variety of parks and green spaces which are perfect to relax in or have a picnic. Because of this Cambridge is well suited to families who want to experience traditionally English culture. If this isn’t your cup of tea then there are also perfect shopping and eating opportunities, from local classics to international options. On top of this all, Cambridge is a remarkably safe city so you can unwind as a family and wander through the cobbled streets and gardens worry free! One of the reasons why I think Berlin is the best family friendly city in the world is that there are so many great museums with hands-on exhibits, that are ideal to entertain children, and are fun for grown-ups too. One of them is the DDR Museum, a Museum about the history of the East German republic, with lots of interactive things to do like exploring an East German apartment and ‘driving’ a Trabant! 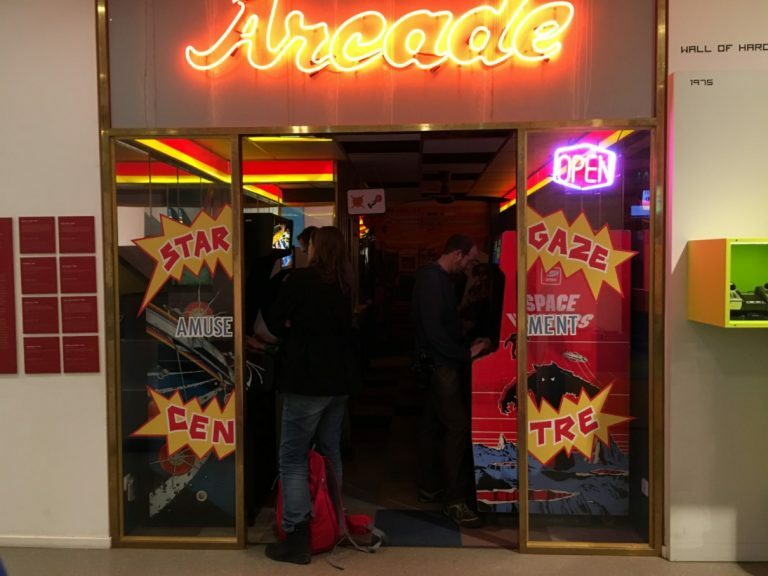 Yet, the coolest Berlin museum for families (and for anyone who’s young at heart) in my opinion is the Computerspielemuseum, a museum dedicated to computer games, where you can learn about computer games and play retro videogames like Super Mario or Pac-Man as long as you wish! Naturally, these are just some examples – I have included info about cool museums in my Berlin in winter post, with lots more ideas for families! If you’re visiting in summer, the city is even more family friendly, with lots of parks and gardens available for little ones to explore. Tiergarten is the most famous park in town, and another nice place to visit is Grunewald, a proper forest not far from the city centre. There are also lots of lakes with bathing facilities near Berlin, but the coolest place for a hot summer afternoon is definitely the Badeschiff, a floating pool moored in the river Spree. 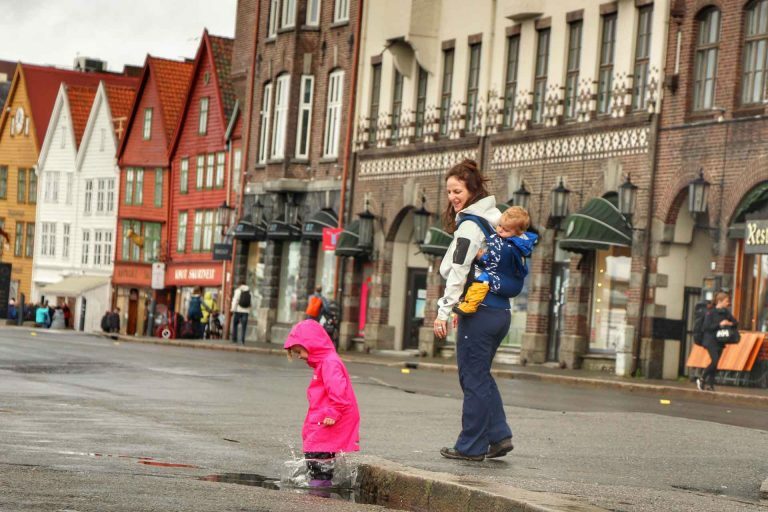 If you are looking for a family friendly city, then look no further than Bergen, Norway. As the gateway to the fjords, it has so much to offer families from cultural experiences to outdoor adventures. Strolling the narrow alleyways of Bryggen is the perfect place to get an introduction to the city; from there take the Fløibanen Funicular for some of the most incredible views. Make sure to leave extra time to explore the Troll Forest and play at the playground while you are on Mt. Fløibanen. Older kids will have a blast at the zip line park and obstacle course. As a family who loves to be active, we loved the incredible hiking opportunities that are easily accessed right from the city centre. Of course, a fjord tour should be on everyone’s itinerary and this can be done right from the Bergen wharf. Even families with small children can enjoy a fjord tour by taking the tour to Mostraumen. It’s only 3 hours long but still worth it. From toddlers to teenagers, there’s something for everyone in Bergen. Extra Tips: Make sure you pack your rain gear! Bergen has been called the “rainiest city in Europe” for a reason! The Bergen Aquarium is a great place to escape on a rainy day. If you have the opportunity, take the train between Bergen and Oslo instead of flying. You won’t believe the scenery and the family car has an entire play area just for kids! Known for its modernist architecture, innovative gastronomy, and constant traditional festivals, Barcelona isn’t a destination for grownups but an exciting city for kids too. In general, in Spain, children are naturally integrated into society, so you don’t have to over-plan to accommodate them. Apart from Barcelona’s fascinating cultural sites like the Picasso Museum, the elaborately detailed La Sagrada Familia basilica, and the vibrantly-tiled Park Guell, the city is an open-air museum in itself. Kids will love wandering the cobbled streets, make sandcastles at one of its seven beaches like Barceloneta, or explore the hilled Montjuic area by cable car. Barcelona is also safe as petty theft is its only concern. And it’s easy to navigate by public transportation. In fact, you don’t need a car at all to discover the city. Barcelona is for all age groups – even babies and toddlers can enjoy various parks and playgrounds sprinkled throughout the city. However, be prepared to bring your own booster seat at a restaurant as highchairs and changing areas are sparse. Also, older metro stations may not have lifts/elevators, so depend on the kindness of strangers to help you carry your pushchair along the stairs. 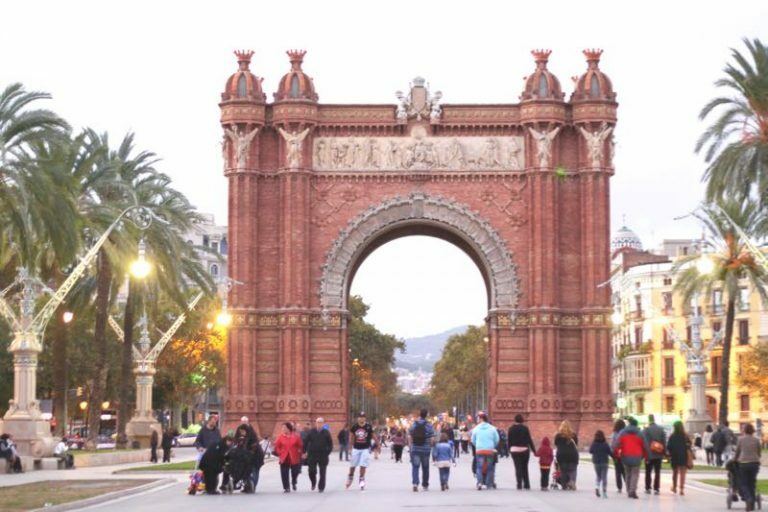 Visit Barcelona where families will never suffer from the “I’m bored” syndrome! Stockholm is one of the most kids friendly cities in Northern Europe. The mild weather from Spring to Autumn, including the summer is ideal for sightseeing as it’s not too hot or too cold. There are lots of playgrounds, museums for kids, activities for the whole family and bringing your kids to these places are totally normal and something many Swedes do themselves. Obviously not everything is recommended for kids, but there are plenty of things to do in Stockholm. For example, the island of Djurgården is particularly beautiful with the lush nature, water and the majestic mansions. And of course the most important part, the Gröna Lund amusement park and the famous Vasa museum where you can see the Vasa Ship! 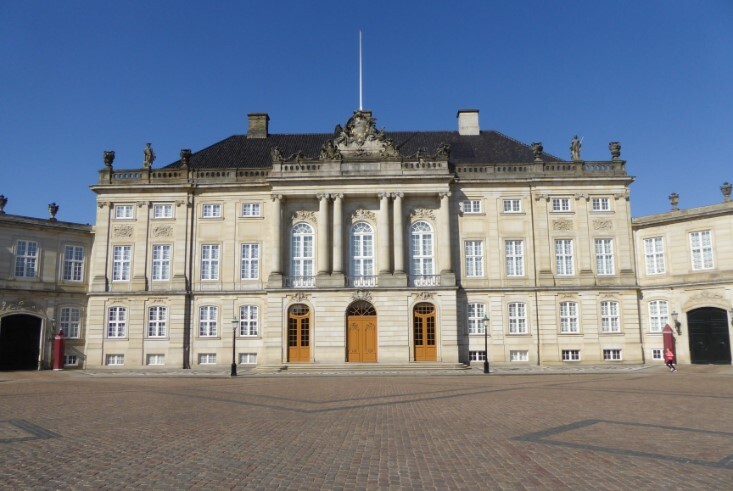 There is also museums such as the “Tekniska museet” and Naturhistoriska riksmuseet”. If you come here during summer you should definitely visit Skansen and Junibacken. Very popular attractions for families! Or why not go for a fika at one of the many cafes around the city. There are plenty to choose from. And of course, you shouldn’t miss the Old Town. However, the old town is more enjoyable in Spring or Autumn to avoid the crowds, especially if you bring a stroller. 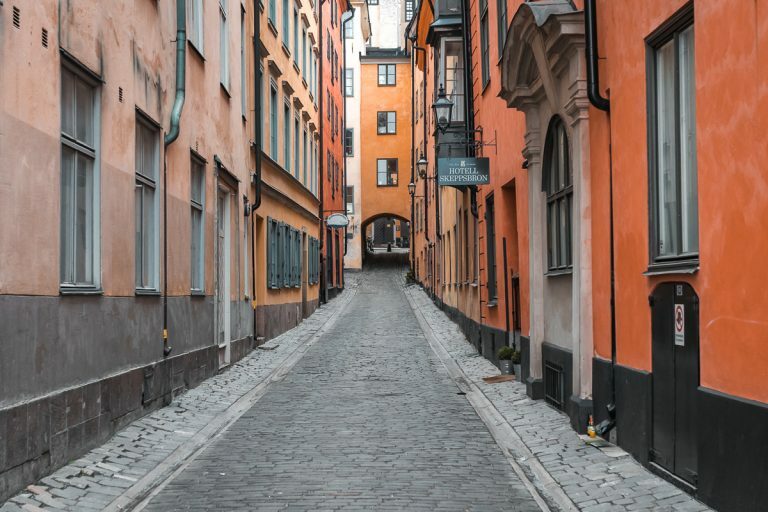 If your kids are little older, perhaps 12+ or so, I can also recommend the Ghost walk tour in the old town, where you follow a guide and visit some of the haunted houses that has been said to be home to ghost ever since the Stockholm bloodbath. Accommodation can be found from 1000 SEK, which is approximately 100 Euro, or 90 USD. The city is connected internationally via Stockholm Arlanda Airport and Skavsta Airport. From both airports, you can take the airport bus, which departs frequently. The price is 99 SEK if you buy online. If you’re from the Baltics, or come here on a cruise, there are also many boats arriving and departing from the capital of Sweden. Have you ever visited a foreign city that you had no expectations yet it blew you away? Well, that place is called Vienna in Austria. Now I know why a lot of people consider it as one of the most beautiful cities in Europe. 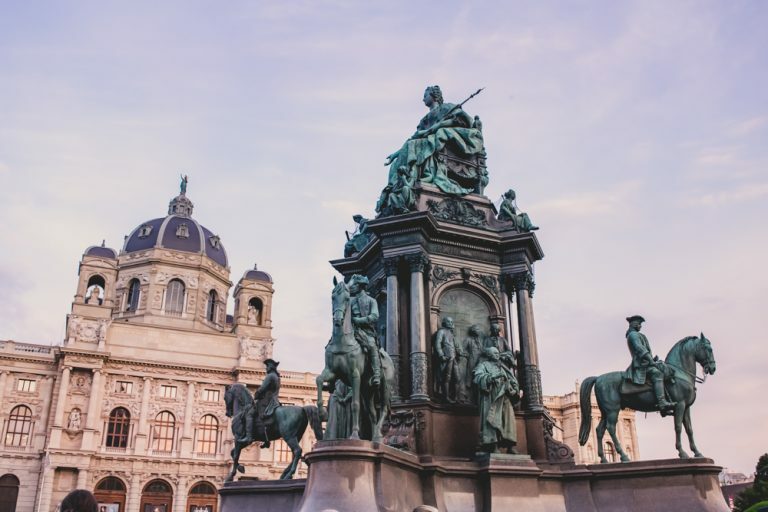 Vienna is also known for being one of the most livable cities in the world. It provides unforgettable experiences and touristic attractions, you’ll blend easily if you’re into culture and arts. The city is really big but most of the popular ones can be found in the central district. Museums, opera houses are side by side, technically they are all walking distance, making it a family-friendly city. Some travellers travel to Vienna with a specific purpose and some would stay here for good, I personally know someone who just went here and looked for a permanent job. He’s now happy and stable. While others are just here to learn music and arts, and visit Gothic churches and Baroque Palaces, of course. I would definitely recommend to pay a visit in Schonbrunn Palace area which is the highlight of the Vienna trip. You can also try the horse-drawn carriage tours so you would feel more the ambience. 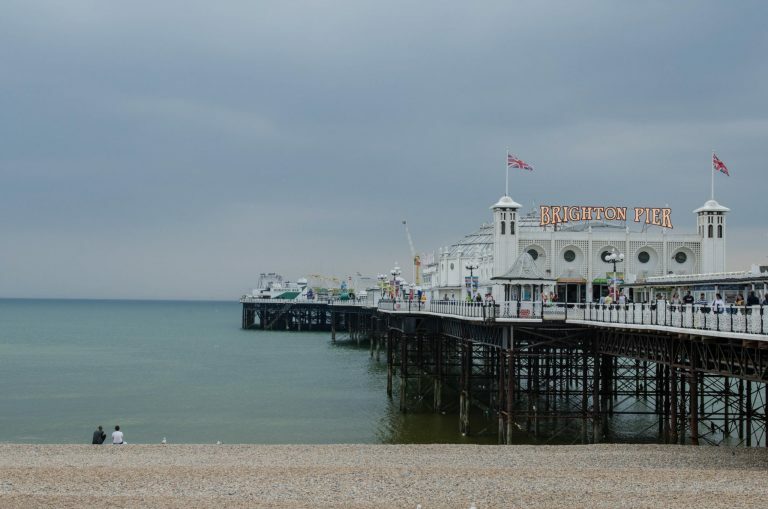 Only an hour away from London, the seaside city Brighton is one easy place to fall in love with. The picturesque city is located right at the sea making long walks in the sand and a quick dip into the water an easy task for everyone who has water-loving kids. Apart from that, the entire promenade along the sea is perfect for walking around, eating ice cream and winning some money on the pier. The latter is actually a perfect option for one of those days on which the weather may be typically English. The pier is full of casino-like machines on which you can play some games with a couple of coins. Not your thing? Well, how about hopping on a roller-coaster and screaming with your kids once the ride goes down? Totally worth it! Once in Brighton with the entire family it’s also nice to simply wander around the city centre, in which you can get lost in tiny alleys and eventually find yourself back in one of the cosy pubs. Sounds good, right? Porto is one of my favourite European cities, I absolutely love it since the first time I visited it. 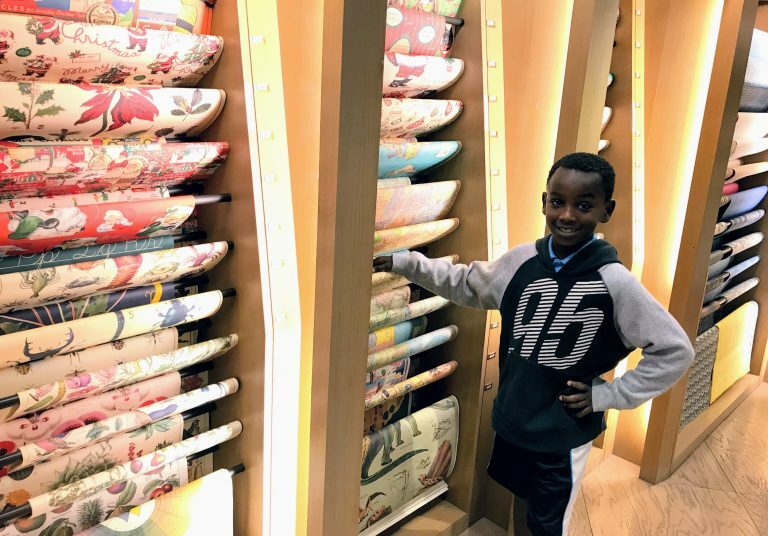 There are many fun things to do in Porto with children of different ages, from exploring the city on foot to visiting interactive museums and taking a boat trip on the Douro river. 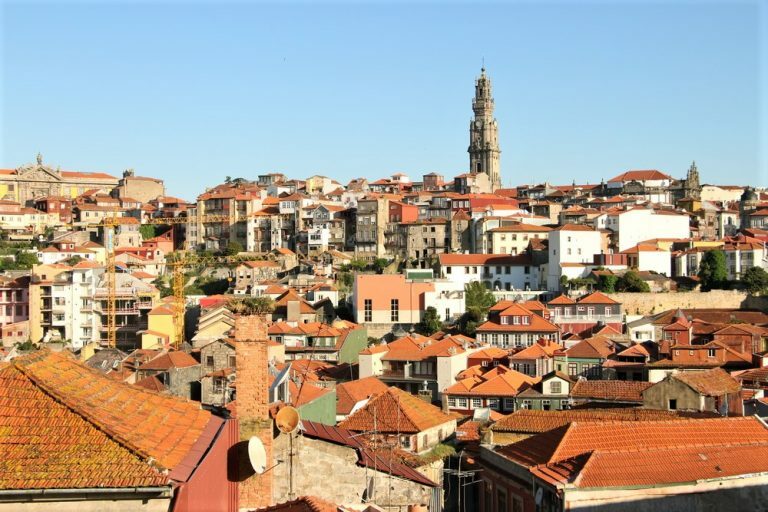 The most interesting and authentic district of Porto to explore walking is Ribeira with its narrow cobblestone streets climbing up the hill, colourful facades decorated with famous azulejos, many charming street cafes and restaurants that serve local cuisine, great coffee and delicious desserts. If your kids are too small for walking a lot you can take a famous yellow tram that runs through Ribeira neighbourhood and get off at the most interesting spots. A pleasant boat trip on the Douro river is a not-to-be-missed activity in Porto, children of different ages will enjoy it – going on a boat under 6 impressive bridges is a real adventure! Visiting city parks is another fun things to do for both grown-ups and children. The most family-friendly parks are; the Crystal Palace Gardens in the downtown of Porto – a huge green park where you can see peacocks, ducks, squirrels etc. Another gorgeous park is Serralves park – a beautiful garden with many interesting sculptures and a modern art museum inside. If you want more children dedicated activities you can visit The World of Discoveries – an interactive museum and theme park- or Sea Life Porto – a huge aquarium where you and your kids get a chance to see some underwater creatures from all over the world. San Francisco, with its stunning icons as the Golden Gate Bridge and fun vibes is a cool city to explore for anyone. But let me tell you some of the fun things for families to do here. Our 4 days in San Francisco on a family trip to the US west coast passed by so quickly. Kids would love exploring the hilly areas of the city on a cable car. 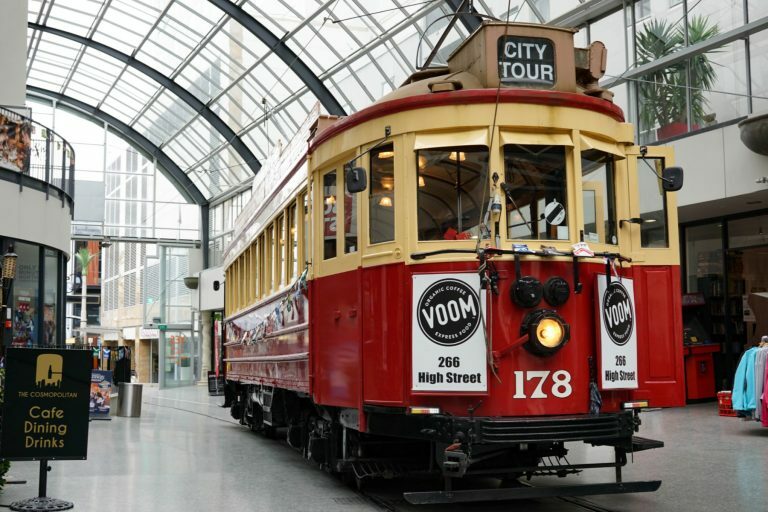 So, make sure you get on one of the historic trams that runs in the city. Play the tourist at Fisherman’s Wharf one day. The fresh seafood including the crabs, fresh fish and the famous clam chowder can be enjoyed by everyone, while the kids would squeal at the sea lions’ antics at Pier 33. On the opposite side on the oceanfront is the Exploratorium – as the name suggests, a large space for kids from 5 all the way up to adults to explore new ideas. One day should be kept aside for the beautiful Golden Gate Park. There are options to bike, run around many of its parks, there is a lake with ducks and tortoises that would appeal to kids. 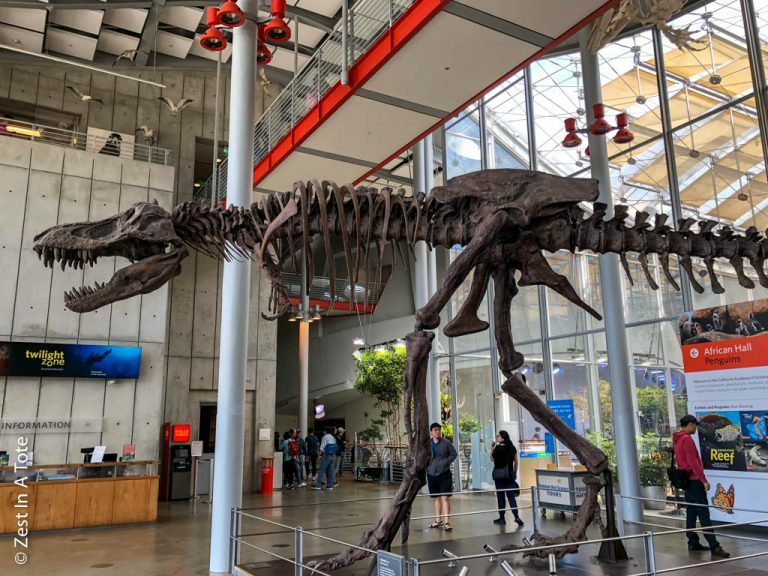 California Science Centre within the Golden Gate Park is a great place for kids – it has a large aquarium, a natural history centre, a tropical rainforest, a planetarium and more. Any list of family-friendly places cannot miss Orlando, Florida, for obvious reasons. The Disney World Parks are an absolute must, with attractions to both kids and adults. We’ve been there in a group of 11 people, between 5 and 58 years old, and everyone had a good time. For large families like ours, we recommend renting a minivan, so the whole family can be together in one car. The only downside is that visiting at New Year’s Eve, the parks get extremely crowded – though the fireworks are beautiful. It took us on average 2 and a half hours in the queue to any attraction, and it gets very tiresome by the end of the day. Visiting in the off-season not only will allow you to enjoy the park more, but the prices are a lot lower. But Orlando is not just about Disney. It’s not far from NASA’s Kennedy Space Center, which offers tours, simulators, rockets and much more. For the members of the family who love shopping, it’s a quick drive down to the outlets in Miami, where the family can also spend a few good days at the beach. Washington DC wins my vote for the most family-friendly city for 3 main reasons. First of all, it is very budget friendly. Visiting the 11 Smithsonian museums and memorials around the National Mall are free. This is something you cannot find in many cities. Second of all, the museums provide a plethora of information and education about our country. Each place visited can become a teaching experience for a child (and parent) and would become a memorable experience for the whole family. Kids as young as about 7 can really start to understand the exhibits and history of the country, however, this city is probably more suited to pre-teens and teens. Lastly is how easy the city is to navigate and travel through. Located on the East Coast of the U.S. it can be a short train ride or drive away to many. A great tip to keep in mind is that the Metro in Washington D.C. is easily accessible from the airport and has multiple stations around the major sights, hotels, and restaurants in the city. 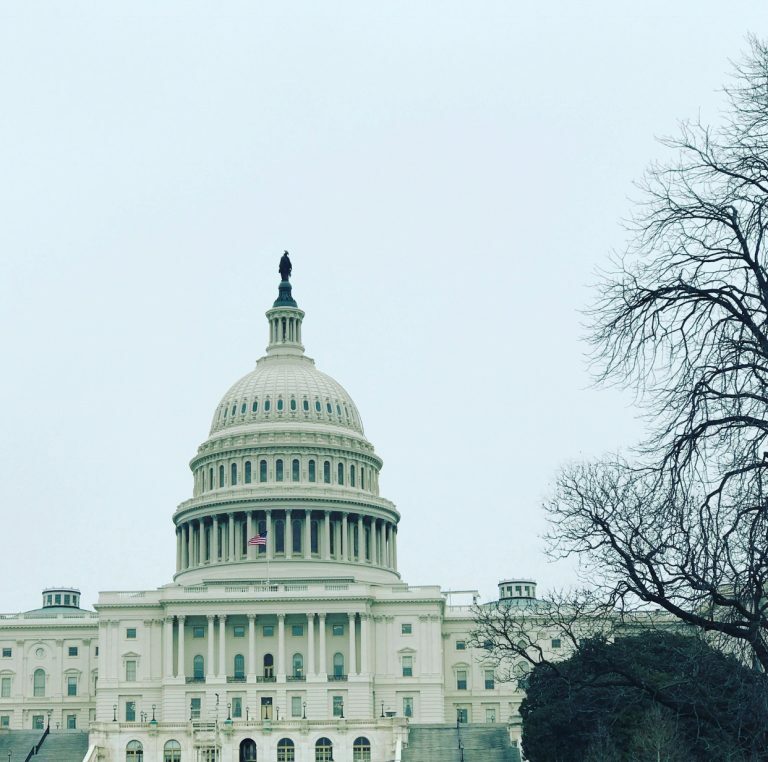 Overall, I recommend a visit to Washington DC with your family due to its’ ease of access, educational and cultural value and free things to do. For the past few years, Toronto has been in the “Top 10 livable cities in the world”. One of the reasons it’s in the top is because the city is very family-friendly. Even if you are tight on budget, there are a lot of free things you can do in Toronto. For example, there’s at least one park in every neighborhood equipped with swings and slides. If you want to develop your child’s green thumb, there’s a free conservatory in downtown which has a greenhouse specifically dedicated to children. Also, Toronto’s Botanical Gardens has a Children’s centre and a teaching garden. It’s easy to plan a staycation in Toronto. Just a quick ride on the ferry will take you to Toronto Islands. The Centre Island has beaches, the Centreville Amusement Park and a petting zoo. For older and more adventurous kids, there’s Canada’s Wonderland which has rollercoasters and fun rides. Education can also be fun for your child in the many museums and art galleries around Toronto. The Royal Ontario Museum(ROM) and the Art Gallery Of Ontario(AGO) have some world-renowned exhibits. For the scientifically inclined, there’s also the Ontario Science centre. You can also educate your children about the history of Toronto at the Black Creek Pioneer Village and Todmorden Mills. In my opinion, Toronto is a great city for families to visit and to stay. 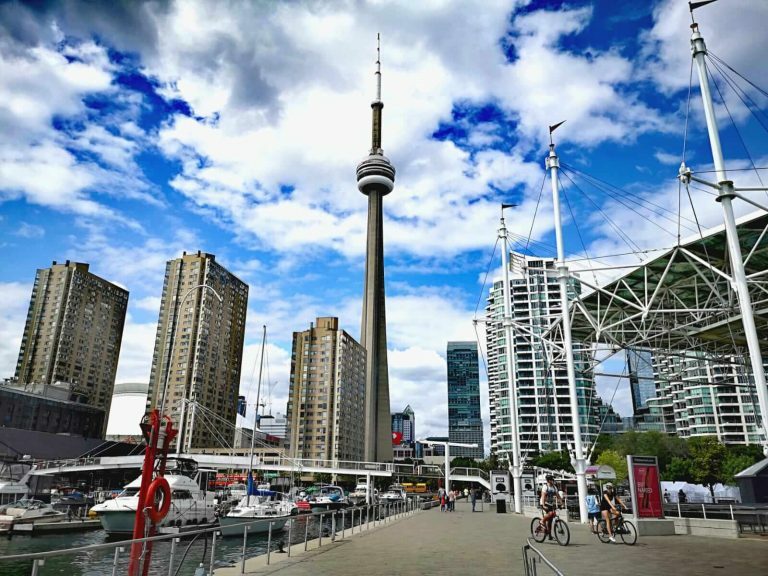 If you are looking to visit Toronto, please check out my guide about where to stay in Toronto. I hope you visit soon! For years I have found St. Louis, Missouri to be one of the most family friendly cities in the US, if not the world. Just driving into the city captures the children’s attention, with the Gateway Arch welcoming visitors. Children are intrigued by the Arch, particularly standing beneath it, and riding to the top. 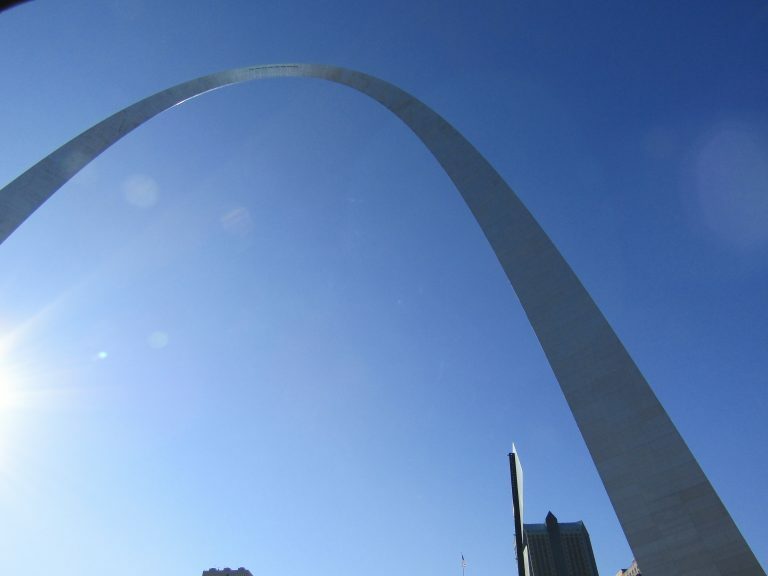 The Arch attractions also include Clydesdale drawn carriage rides, a steamboat, and even helicopter rides. St. Louis also has more free attractions than any US city outside of Washington DC. Forest Park is a stunning green space with a world class zoo, a science center, and both an art and history museum, which are all free. Other free venues include the Purina Farms, Grant’s Farm, the World Chess Hall of Fame, the Moto Museum (vintage motorcycles,) the World Bird Sanctuary, and President Ulysses Grant’s Home. Not everything is free, but there are many other attractions for families with school aged children. City Museum offers a unique learning play experience. The National Transportation Museum, The Magic House, Myseum, and the Trapeze St. Louis are other popular choices. And of course, St. Louis offers exciting professional sports, with Cardinals baseball and Blues hockey. One more thing that makes St. Louis a great choice for families is the ease of getting around. The central city has a much smaller town feeling. Traffic gets a bit rough during rush hour, but most of the time driving through town is pretty low stress, even with kids asking if we are there yet. I am fortunate that my hometown of Chicago is one of the most family-friendly cities in the world with many attractions and activities perfect for kids of every age, from toddlers to teens. 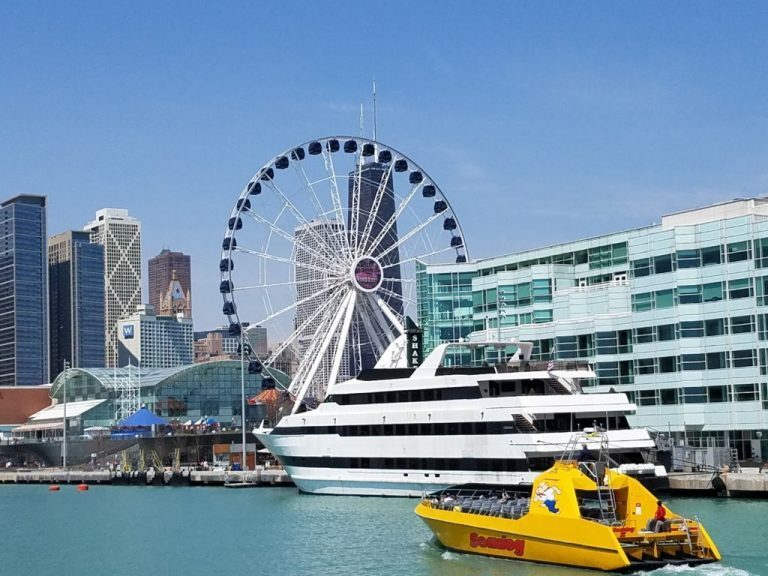 One of the best family attractions is Navy Pier, a large lakefront pier which offers tons of fun activities and attractions including boat cruises and tours, a carousel, large ferris wheel, an IMAX theatre, a children’s museum and a giant fountain with a splash pad. Another great place to visit is Millennium Park – while older kids will love the Bean (the famous mirrored sculpture), toddlers and younger kids can splash around at the Crown Fountain. After Millennium Park head to adjacent Maggie Daley Park (an enormous public park with a climbing wall and separate play areas for kids of various ages). Other fun things to do in Chicago for families include spending time in Chicago’s many museums, visiting Lincoln Park Zoo, standing on a glass bottom balcony at one of the tallest skyscrapers in the world or hanging out at one of Chicago’s numerous beaches. 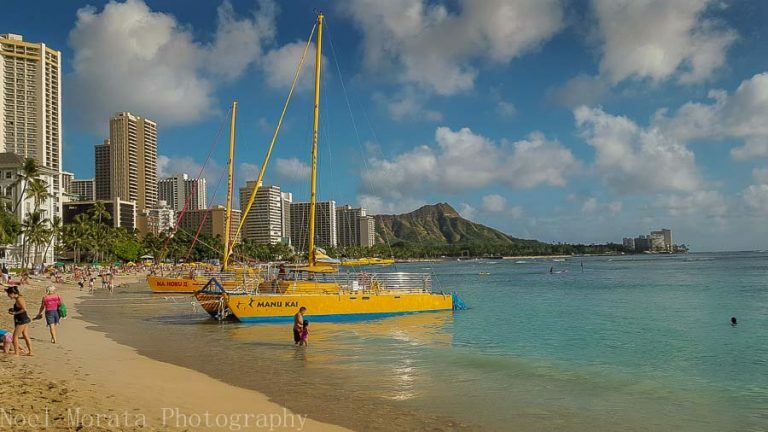 One of the most family friendly cities to travel to is Honolulu/Waikiki on Oahu. This area of Oahu has so many wonderful attractions that are perfect for families with children, starting with the world famous Waikiki beach which is very shallow and is protected in many areas with breakwaters for family friendly swimming. The area is also geared for family attractions including aquariums, shopping venues, dining and entertainment that includes activities for children. Many, if not most, of the hotels in Waikiki offer free activities that are kid friendly along with Hawaiian immersion education, crafts and other fun activities. 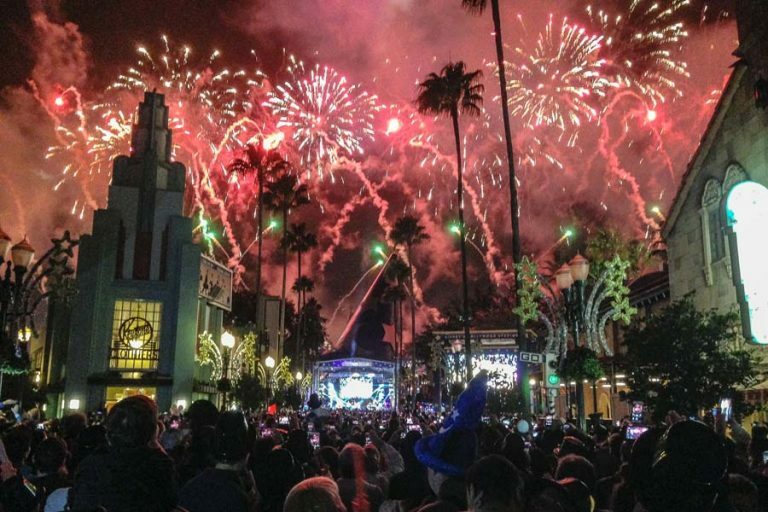 There are also free shows like hula, fireworks and even a lot of street performances that happen daily on the main shopping venues around the city. You can also find kiddie focus activities on the Go Hawaii website for fun things you can do around the island. Check out my Things to do in Oahu here for more images and inspiration to visiting the island and attractions. San Diego is the most family-friendly city I’ve ever visited. Its nearly perfect weather means you can be outdoors as much as you like, making it a great place to cycle, hike, or surf. If you like animals, there’s SeaWorld, the San Diego Zoo, the Wildlife Safari Park, or a whale-watching cruise. If history is your love, you can visit Old Town, the San Diego Mission Alcala, or the Spanish Colonial buildings of Balboa Park. If you are fascinated with the military, check out the USS Midway, Liberty Station or the Mt. Soledad war memorial. There are world-class museums, art galleries, harbour tours, community parks and piers, universities, and the San Diego County Fair every June. You can go snorkelling, climb to the top of a mountain, spot wild-flowers in the desert, or fish in a lake – and still be in San Diego county. With lots of beautiful beaches, you might be able to get by with just visiting my favourite five! If you’d like to take a day trip from San Diego, you can add Catalina Island, Tijuana, or the Imperial Sand Dunes to your itinerary. Unique San Diego treasures include a wooden roller coaster on Mission Beach, a sunset dinner cruise on San Diego Harbor, and the 130-year old Victorian Hotel del Coronado. And don’t even get me started with the food because you’ll find everything here, especially in Little Italy. 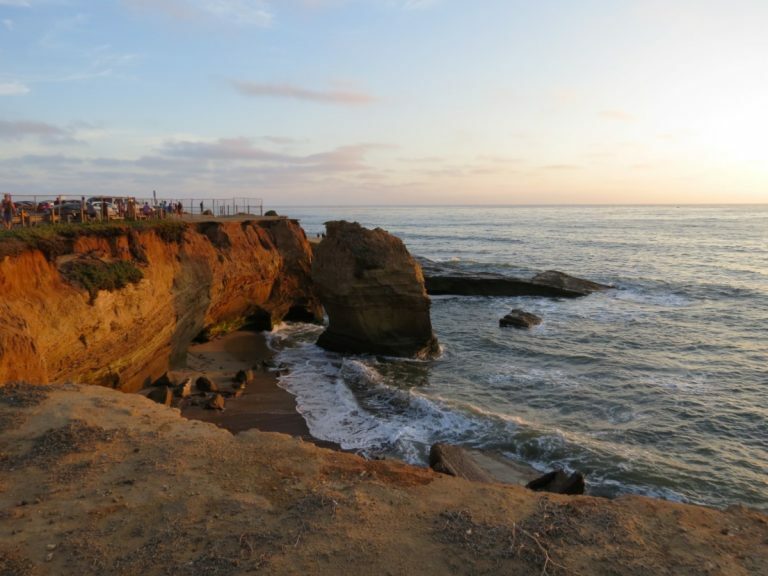 San Diego has something for everyone in your family! 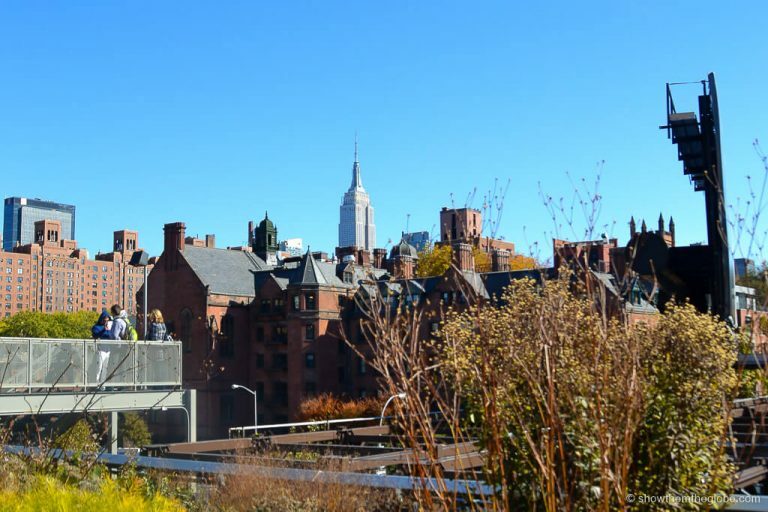 New York is a great choice for a family holiday and the towering skyscrapers, neon lights, green spaces, music and art instantly capture the imagination. There are endless things to do for both adults and kids alike: we walked miles and miles through the city streets, were mesmerised by the bright lights of Times Square, rode carousels and ate picnics in the city parks, explored the museums (we even took a stroller tour in The Guggenheim) and stood at the top of the Rockefeller. New York is incredibly family friendly and it’s really easy to navigate the city with babies and children. Having visited recently with our 5 month old we walked, rode the subway, took cabs, used Uber and Lyft and even rented a car! There are many family-friendly restaurants and bars. We sipped cocktails overlooking Times Square and ate in awesome restaurants and everyone we encountered had a smile, a chat and an offer of help. Tips for family vacations to New York: New York hotel rooms are notoriously small and expensive but many hotels have rooms which fit up to four people and is much less expensive than booking two rooms. It’s also easy to find apartment style rooms with kitchenettes. If you are travelling with a baby we’d recommend bringing a compact stroller for navigating the city. Most people will be surprised to know that New Orleans is a kid-friendly destination and great for family trips. The city’s Bourbon Street area is known as a party place and so associated with Mardi Gras and spring break raucousness. However, the Bourbon Street is just a 4 block long area and does not represent the true New Orleans experience. 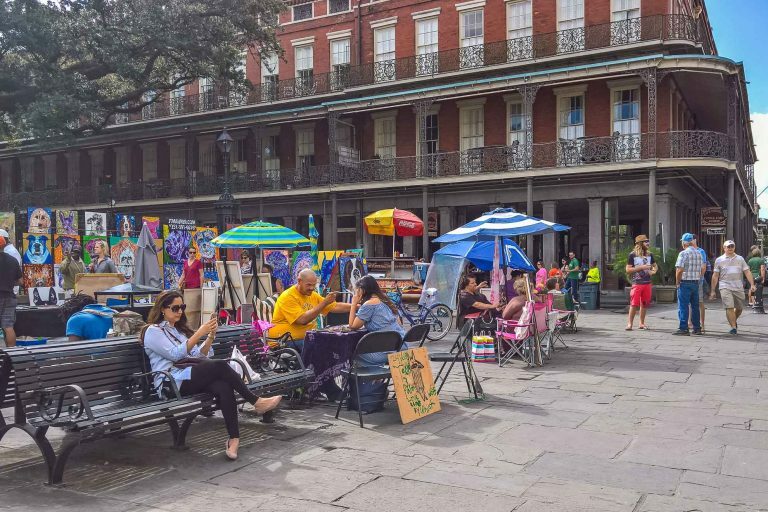 The rest of the city including the French Quarter is a great cultural destination, suitable for travelers of all ages. I recommend starting your New Orleans travel plan by taking a walking tour of the French Quarter’s pretty architecture and ending up at Jackson Square. Here you can visit the St. Louis Cathedral and admire the artwork on display in the square. Next, eat some beignets at Cafe du Monde and walk along the Riverfront. Families enjoy taking a cruise together down the Mississippi River. New Orleans also has plenty of activities to keep the youngest travelers entertained. The Audubon Zoo with its Cool zoo water splash area is perfect to see the animals and cool off in summer. The nearby Audubon Park is great to let the little ones stretch their legs and run amok. I also recommend picking up some Cajun books including the Cajun Cinderella to keep little readers happy. The most family friendly city in India is Hyderabad which is also known by the name ‘The City of Pearls’ and the ‘The City of Nawabs’. Hyderabad is located in South India and is reachable from all other major Indian cities by road and rail and also by air. It is the capital of Andhra Pradesh and is widely visited by thousands of travellers around the country. Hyderabad is the most family friendly city according to me as there have been lot of facilities introduced in the city premises like low cost dining in top restaurants, fee waiver in cinema halls and movie theatres. 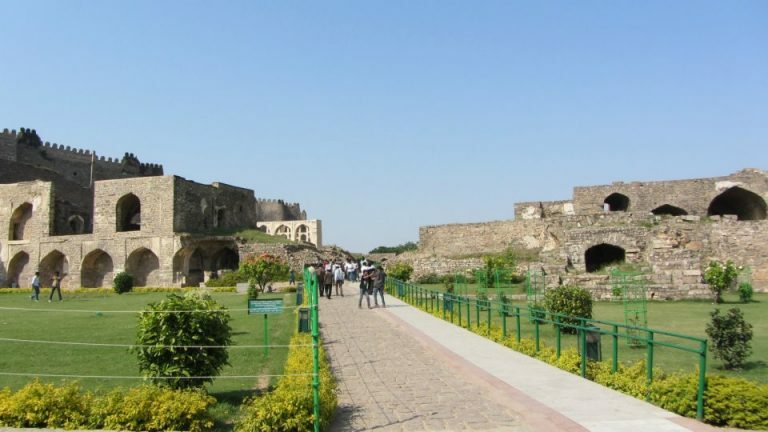 Entry into some of the major forts and lakes are free during the morning hours which is really an amazing feature. Hyderabad has the famous film institute of Ramoji, Golconda Fort and the Charminar which are the major attractions of the city. Tel Aviv easily qualifies as one of the most fun places to visit in the world, for any kind of traveller. What the city lacks on sheer beauty (do not expect the narrow alleys of the Old City of Jerusalem, or the beautiful iconic buildings of Rome), it makes up with an incredible vibe, and a range of activities that are guaranteed to entertain any age group. 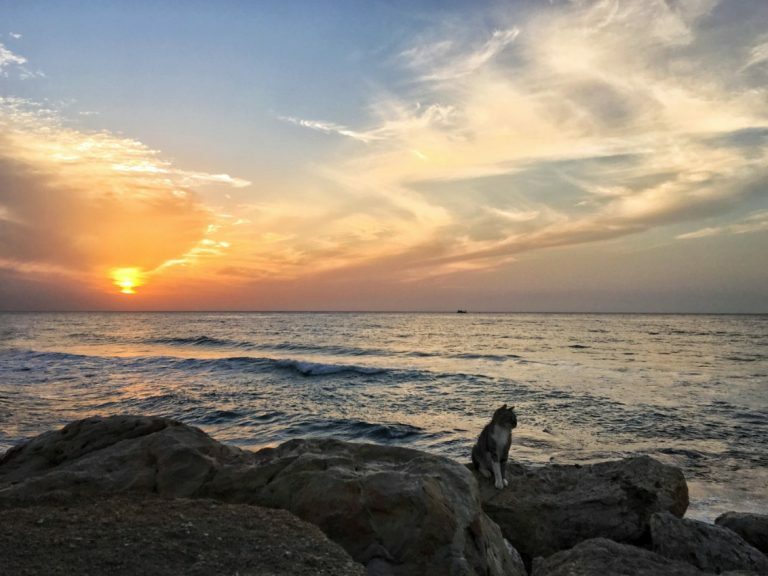 Right on the shores of the Mediterranean, Tel Aviv is blessed with good weather year-round (winters are very mild). There are nice beaches that are a pole of attraction in any season: the perfect place to escape from the heat during the summer, and to enjoy a bit of down time in the winter. The waterfront is a favourite of local families, who gather there at weekends to go for walks, bike, skate, or to simply eat at one of the many restaurants in the area. Hyarkon Park is a great place for families to hang out, too – many can be seen pic-nicking there. Singapore is an excellent place to visit with the kids in tow. We lived there for 7 years and we still go back often because it is such a fun place to visit. 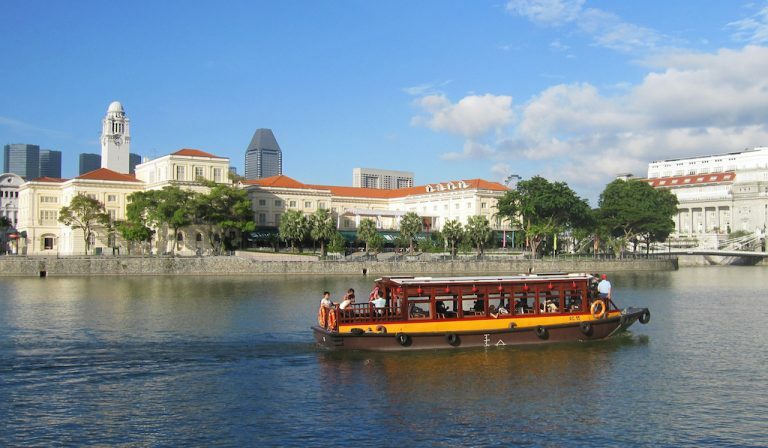 There is so much to do in Singapore for families. A visit to the Singapore Zoo should be at the top of your list, and the next-door Night Safari also makes for a thrilling visit, while across town the beautifully landscaped Jurong Bird Park houses over 8,000 birds and boasts the world’s largest walk-in aviary. Sentosa Island is family-getaway paradise, jam-packed with kiddy friendly attractions, including Universal Studios Singapore, the Southeast Asia Aquarium and Adventure Cove Waterpark. Beyond the tourist attractions, there is the beautiful Botanic Gardens and Gardens by the Bay to wander around, beaches to play on, the Singapore River to visit by boat, and colourful neighbourhoods, such as Chinatown and Little India to explore. On top of all of this, Singapore is buggy friendly, nearly all restaurants are child-friendly, and the majority of malls have excellent baby care facilities. Perfect for families with kids of all ages! Seoul, the capital of South Korea, is a great place to visit as a family with kids. 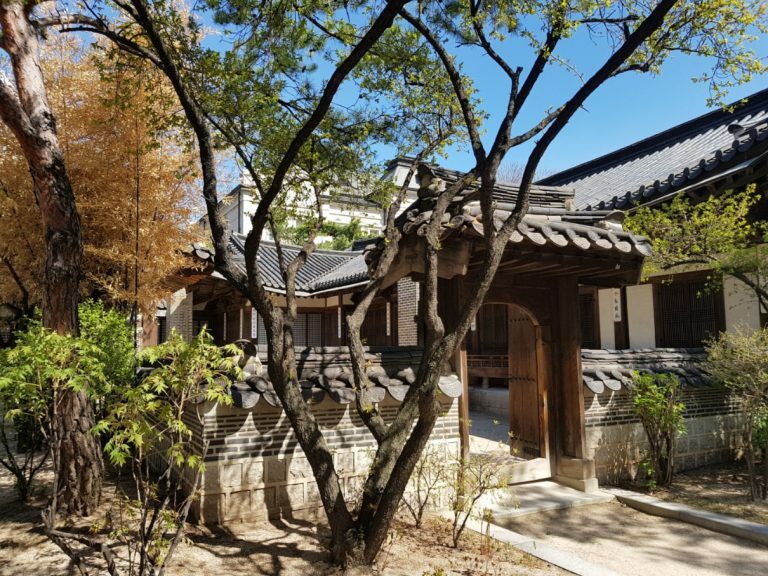 Two things that you really have to visit when in Seoul for the first time is the National Museum of Korea and one of the five royal palaces. The National Museum is a beautiful modern looking building, focused on Korean and Asian art. Make sure to check out the impressive Buddhist sculpture hall when visiting. Around the museum is a small park and lake with traditional Korean features. Most museums in Seoul have a special kid hall with special activities or interactive learning facilities. In many of the tourist offices around the city you can get a stamp card which is a fun way of discovering the city for kids and even adults. Another great point about the city is its excellent public transport system! At the airport you can buy a top-up T Money card which can easily be used on all buses and subways throughout the country. To buy the card you will need cash and you can top up your card in each convenience store. On top of that all transport announcements, maps and signs are both in Korean and English, for popular lines also in Chinese and Japanese. Before I visited Vietnam, the capital of Hanoi seemed like just another city. I definitely didn’t expect it to so family friendly! Every weekend the area of downtown next to Hoan Kiem Lake is shut off to all vehicle traffic. This usually chaotic area turns into something like a weekly festival. Games are played and it is super easy to join in as the vibe is so friendly! 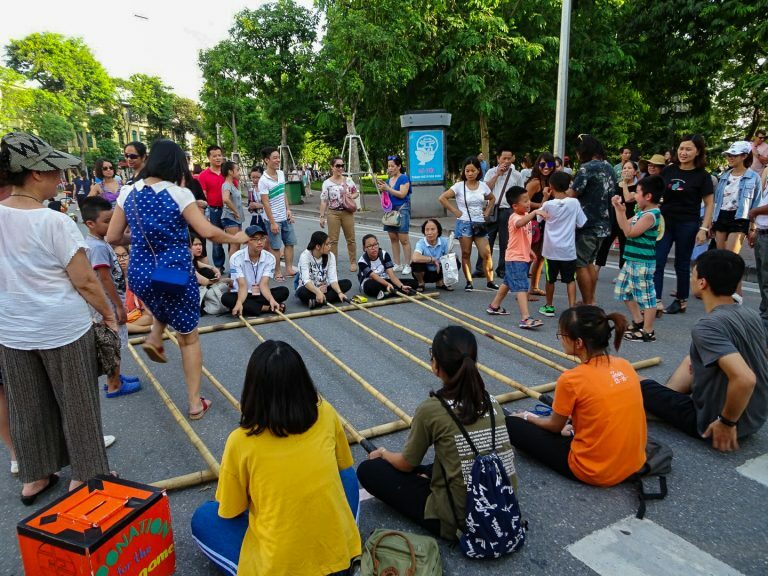 From a hopscotch style game with bamboo sticks to multiple groups playing a sort of hackie sack game. Instead of walking kids can drive around in little-automated trikes, that go a little quicker than I expected when I first laid eyes on them! On top of that, if you spend any time in the little park right next to Hoan Kiem Lake, immersing yourself in Vietnamese culture gets even easier. Many of the locals, including children, will approach you to practise their English skills. Everyone I talked to was so good at English that having a complete conversation wasn’t hard at all. All up, weekends in downtown Hanoi is a great place to experience a relaxed Vietnamese day with the whole family! Tokyo is one of the most family-friendly cities in the world because it’s safe, clean, easy to travel around and there is simply so much to do for kids. Of course, you’ll find Disneyland there, but it’s the more off-the-beaten-track attractions that have made it a firm favourite with us. An absolute highlight is the Miraikan Museum – also known as the Museum of Emerging Science and Innovation. This hands-on museum features plenty of real-life robots and droids to give your kids a glimpse into what their future might be like. 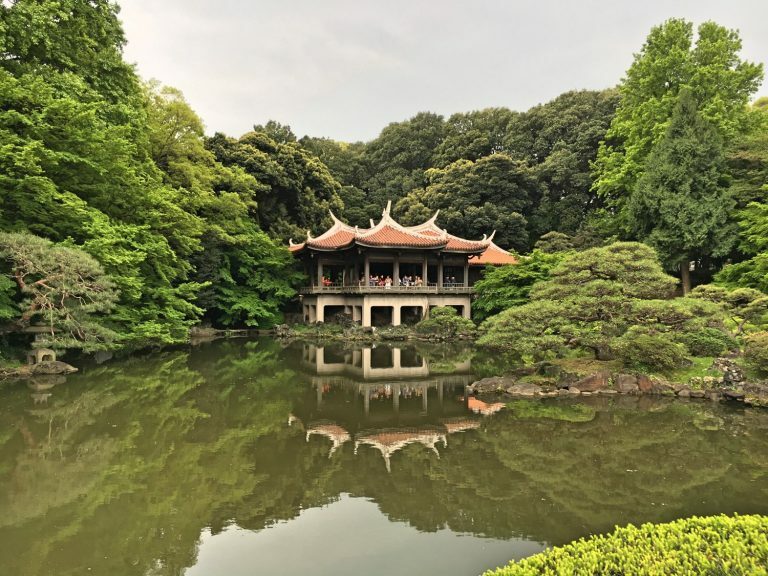 We also loved visiting beautiful Shinjuku Gyoen, a stunning park that’s an oasis from the buzziness of Tokyo and perfect for kids to run around and let off steam. If you want to get right in and experience Tokyo life then you can’t go past the Shibuya crossing, the busiest pedestrian crossing in the world which blew our kids minds with up to 2,500 people crossing at peak times. We also loved checking out Tsjuki Fish Market and trying sushi for breakfast (note this is soon to move location and reopen as Toyosu Fish Market.) Another fun family activity is to try out a Purikura photo booth – where you all cram in and take funny selfies and decorate your photos with electronic pens. We visited when our kids were 5 and 7 years old, but it really is suitable as a destination for all ages. When people think of family friendly cities around the world, I’m pretty certain they don’t think of Ho Chi Minh City, the southern city in Vietnam. Prior to the Vietnam War, Ho Chi Minh City was called Saigon and was the Capital of South Vietnam. 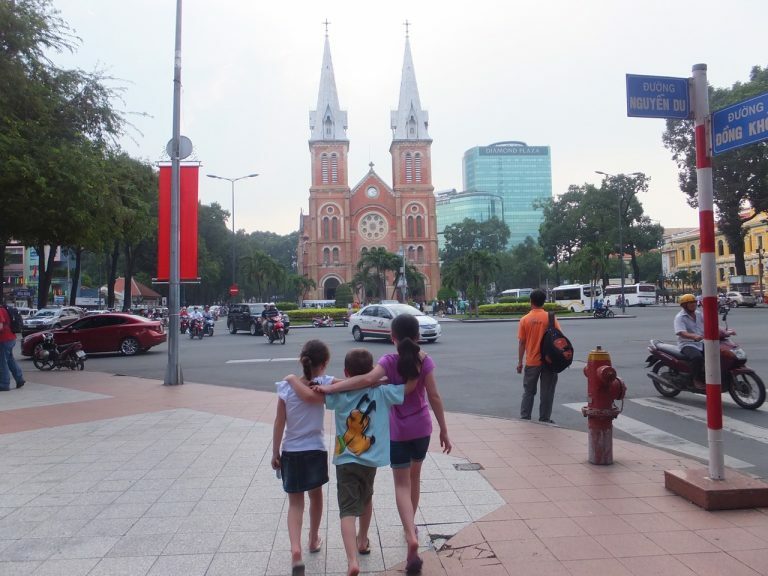 We took our kids to Ho Chi Minh City in 2015 and we all loved every minute of it. Not only is there plenty to do for kids such as visiting the Vietnamese Puppet Show, visiting the hustle and bustle of Ben Thanh Market, you can also take a traditional cyclo bike tour of the old city and visit the Saigon Town Hall and the Reunification Palace. Located only a day trip away from Ho Chi Minh City is the historic site of Cu Chi Tunnels, where you can learn all about how the VietCon defeated the American’s during the Vietnam War and experience the tunnelling system used, a system of underground tunnels that enabled the VietCon to more around undetected. The Mekong Delta where you will see how life is conducted on the mighty Mekong River and visit some traditional villages. Best of all, Vietnam has amazing food, whether it be in a high-class restaurant or straight from a street vendor, food is definitely a highlight of travelling in Vietnam. If your kids are willing, it would be great to take a cooking class offered all around Vietnam, the kids will be able to participate and after you have created a meal, you will get to sit down and eat. This a great family friendly experience and one that you can do together when you return from your holiday. Taipei is poised to become a rising star in Asia as it grows in popularity as one of the best family-friendly cities in the world. This city has it all! Taipei is full of vibrant culture like its famous night markets and temples, but it also offers parks, mountains and hot springs for outdoor enthusiasts. For a city of 3 million people, Taipei still feels safe and friendly to kids and is quite affordable. Taiwanese people are incredibly friendly, and there always seems to be someone to call a taxi, hold a door open, or help with language translation. I think Taipei is especially wonderful for families with school-age kids who will giggle at the Modern Toilet restaurant or arriving on one of EVA Airways’ Hello Kitty planes. Our kids love Taipei’s stationery stores, Da’an park, carnival games at the night market and going to Boss Baby (similar to Kidzania). They love famous Taiwanese treats like bubble tea and mango shaved ice. You’ll find plenty of indoor play areas, trampoline parks and even a gondola ride on the Maekong cable car to entertain kids of all ages. Add Taipei to the list of places to go with kids – you won’t regret it! Brisbane is a great family friendly city with a range of great family friendly activities all within close proximity to each other. And best of all most of the top attractions are completely free! You can visit museums, art galleries, cruise the river, swim, take guided tours as well as get around the city completely free of charge. Everywhere is completely child friendly too, you will find even cafes and restaurants are all well set up to cater for families. The must-see attraction in Brisbane is the South Bank Parklands. You could easily spend 2 entire days here with the kids exploring all its free attractions. 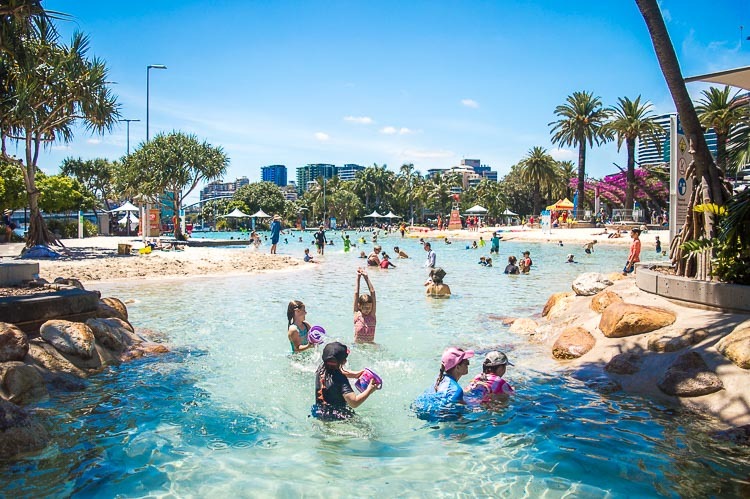 If you are visiting in the warmer months the kids will absolutely love the Streets Beach which is a man-made beach. There are also lagoon style swimming pools, rock pools and an interactive water play area all fully patrolled by life savers. Of course close by Brisbane has Australian’s best theme parks including Dreamworld, Seaworld and Movie World as well as the gorgeous beaches of the Sunshine Coast and Gold Coast. The city of Christchurch lies on the east coast of New Zealand’s South Island. Wedged between expansive white sand beaches on one side, and the mountainous ridge that makes up the island’s backbone on the other, Christchurch is an outdoor lover’s paradise. There are few other places you can take the family to build sandcastles and snowmen on the same day! The city is fairly flat, making it perfect for riding bikes to one of the city’s green leafy parks. And in each park, you’ll find a playground for the kids to burn off any extra energy. In fact, Christchurch is home to an incredible 296 playgrounds! The most impressive are called ‘destination playgrounds’ as they really are a destination in themselves. The most famous – Margaret Mahy Playground in the city centre – is a must-do when visiting Christchurch with kids. Young kids will love going for a ride on the heritage trams that wind their way through the city, the miniature ride-on trains at Halswell, and taking a trip to the Willowbank Wildlife Reserve. And older children will love the gondola up Mount Cavendish (take a ride on the time tunnel at the top! ), a trip to the Antarctic Centre (complete with its own Hugglund) and the (free) Airforce museum. There really is so much for the whole family to enjoy in Christchurch! 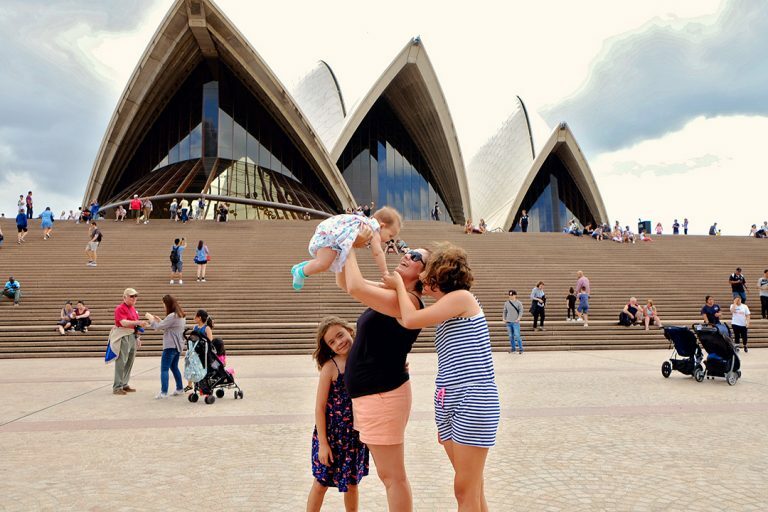 Sydney is one of the most family friendly cities in Australia. Regardless if you are a big kid or a small kid, or if you are travelling as a group, this city has plenty of things to do for all the ages. For the smaller kids, there are extraordinary zoos, great aquariums, wildlife parks, plenty of playgrounds and there is even a Luna Park as well. As for the older kids, amongst many other attractions, there is a ferry trip on the Sydney Harbour, iconic Sydney Opera House to explore, Darling Harbour, tonnes of museums, Blue Mountains, beautiful beaches and even a Haunted Sydney walking tour to check out. Now, that sounds like fun! Just a little tip here. When you plan your Sydney with Kids trip, make sure to plan it for the warmer months, like in summer. Although, this city is beautiful in autumn and winter as well, the temperatures can drop quite a bit here. Exploring Sydney’s kids’ attractions might not be as fun with a cold nose and the cool wind in your hair. Summer is more fun anyways, right? 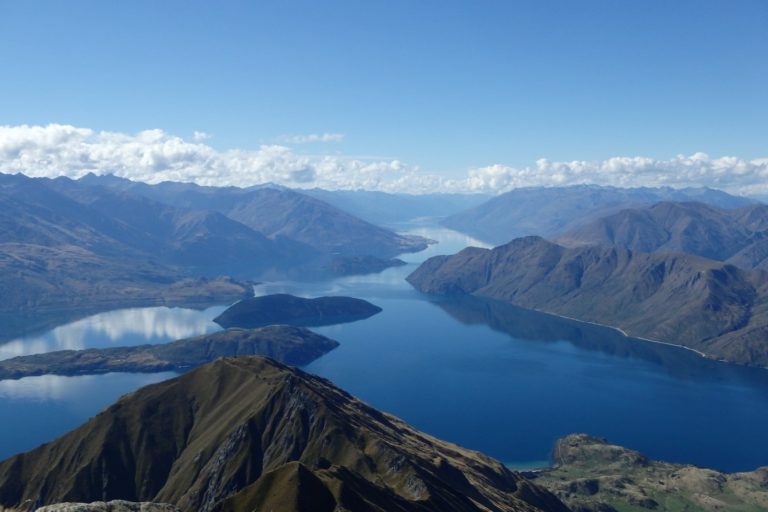 One of the most family friendly places I’ve ever been was called Wanaka, on New Zealand’s South Island. I fell in love with it as soon as I set foot there. Wanaka is simply stunning. It’s positioned at the edge of a glacial lake, with mountains rising beautifully around its periphery. Bars, cafes and restaurants line the waterfront. The sun seems to shines all year round. The atmosphere is just super chilled out, with people of all ages enjoying all that’s on offer there. I’d say Wanaka would suit more age groups. But for thrill seeking teens and active adults it might be most enjoyable. With such easy access to natural beauty, there’s always something fun to do. In summer that means hikes, cycling, climbing, running, water sports and swimming in the lake. Or just lazing on the beach. In winter the town changes with the snow that arrive. Suddenly, it’s transformed into a skiing and snowboarding paradise. Hidden gems abound as well. There are swimming holes to explore, canyons to delve into and so much natural beauty you’ll be lost for words. There’s all manner of accommodation too. From camping on the beach, to mobile homes, to hostels and guest houses, you’re sure to find the right place for you and your family. Adelaide maybe known as the City of Churches, but it’s also a fantastic place to spend time with kids. 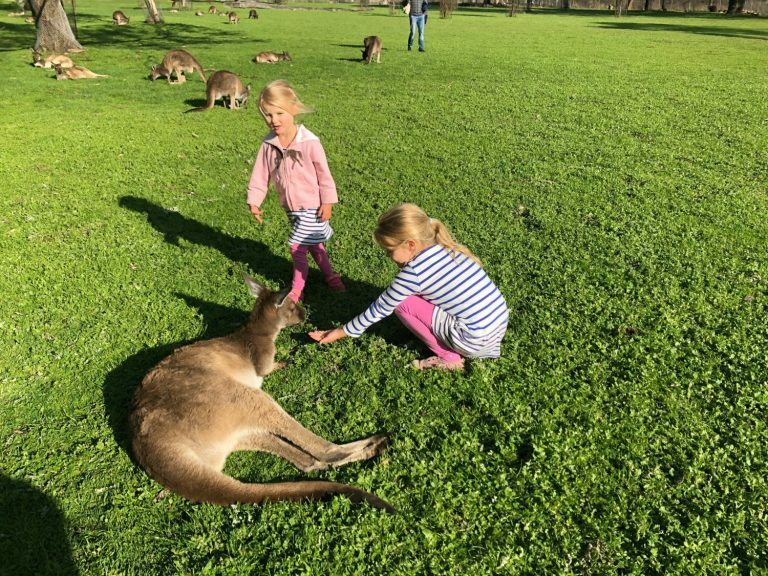 With great parks, family friendly vineyards, wild dolphins, amazing cafes and wonderful beaches, there is a lot to attract families and plenty of fun things to do in Adelaide for kids. Kids of all ages will enjoy spotting wild dolphins. Head down to the Visitor Centre at Port River (Port Adelaide) to learn about the 40 wild Bottlenose dolphins that have made their home here and the 300 who visit. One of our absolute favourites (which is very popular with school age children) is Cleland Wildlife Park. It’s only 20 minutes drive from the centre of Adelaide and a perfect way to see much of Australia’s native wildlife. Set in acres of land, this park provides an immersive nature experience, with a limited number of enclosures. The best bit is you can roam amongst kangaroos and wallabies, wombats and see a koala up close. Don’t forget to purchase some animal food, and feed whoever you see as you wander around. Older teens will enjoy the city’s escape rooms, and all ages will enjoy the free Haigh’s chocolate tour. Or do as the locals do and head to the beach for swimming, surfing or a play on the fantastic kids’ playgrounds. We’ve spent over 2 years travelling around the world and no city has pleased everyone so much as Medellin, in Colombia. Its beautiful mild weather is perfect all year long. No wonder why it’s called the City of the Eternal Spring. Public transport in Medellin is incredibly efficient and cheap. Even taxis are highly affordable, but you rarely need one. It’s full of playgrounds everywhere, providing a great break for the little ones from all the sightseeing. There’s a lot of art everywhere, museums, and many tours – related and non-related to Pablo Escobar. One of the best ones are the coffee tours! Pick coffee, learn about the whole process, and have a cup of the best fresh coffee right there! If you’re not into coffee, you can take a trip to Guatapé and Peñol, see the beautiful and colourful city and climb all the stairs to the top of Peñol boulder. Or you can visit Museo Antioquia and Plaza Botero to get in contact with of the most famous Colombian artists (that’s not Shakira), have a bite at Mercado del Rio, or a lovely stroll around El Poblado. Medellin is amazing and affordable, and the locals are lovely. 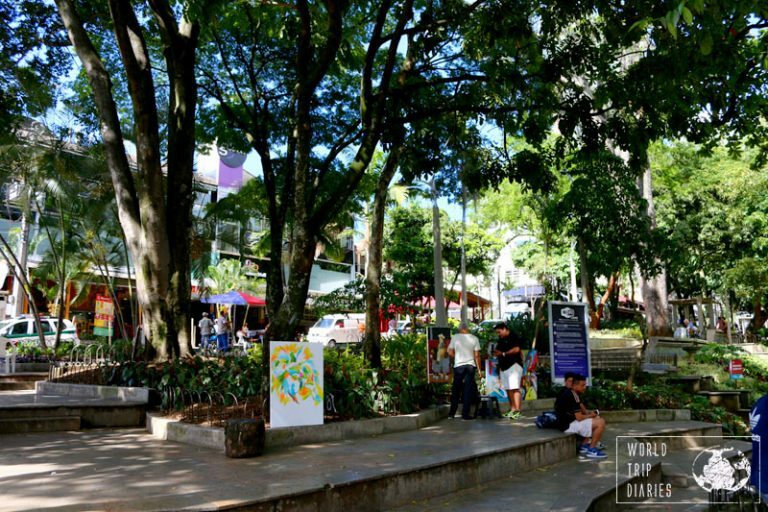 All that makes Medellin one of the most family-friendly cities in the world! Latin America may not seem like the most family friendly destination in the world. However, there are many hidden gems throughout the region and perhaps one of the most family friendly areas in all of Latin America is the beach town of Playas del Coco, Costa Rica. Playas del Coco is located in the Guanacaste province of northern Costa Rica, about an hour and a half from the Nicaragua border. 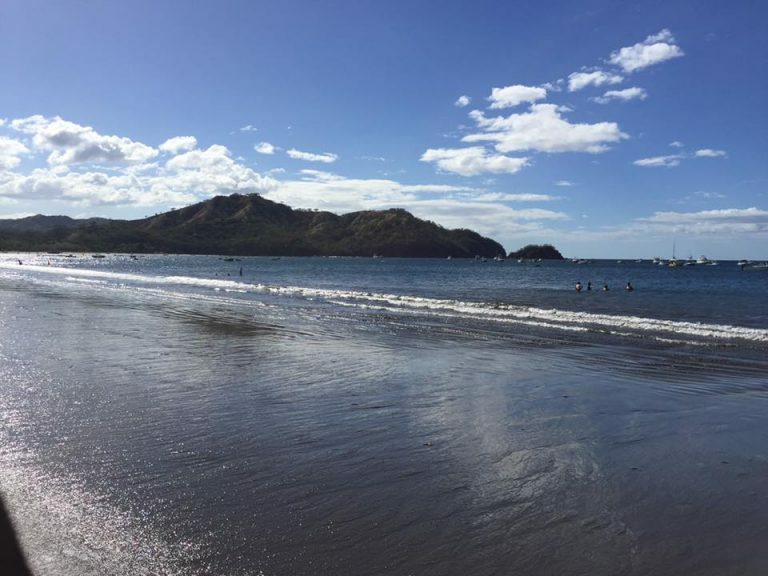 It’s not a picturesque white sand beach beach town but it is one of the most populated areas of Guanacaste and home to a very tight knit expat community. It’s a combination of that community and the location that make Playas del Coco such a wonderful family destination. One of the reasons Coco is great for family is that the beach is usually calm and tranquil – it’s a swimming beach, not a surfing beach, and jellyfish are rare, making it ideal for kids to swim in. Guanacaste is an adventure-lovers haven and Coco makes a great base for family activities throughout the area, including visits to volcanoes, the jungle, snorkelling tours, horseback riding and more. From Coco, families can experience the best of Costa Rica while still in a safe and calm area. While Coco can be great for toddlers, older kids can take advantage of the more adventurous activities in the area, like hiking to a waterfall or snorkelling. Cape Town is a coastal city at the southernmost tip of Africa. Nestled at the base of the iconic Table Mountain it is small enough to explore but offers a huge range of fun activities. First stop: Table Mountain. At over 1000m high, the views across the city and coastline on a clear day are stunning. For those with young children, take the cable car. If you are up for a challenge with older kids, the 2 hour hike is well worth the effort. 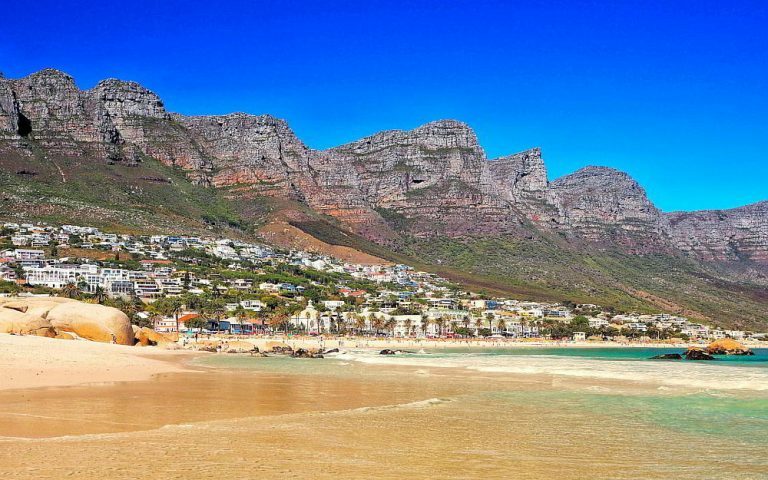 For beach lovers, we recommend Camps Bay. The water is a little chilly, but the squeaky white sand, promenade and beach-side restaurants make a great day out. Venture a little further to Boulders Beach where the kids will love watching the penguins who call this beach home. When the kids need to release some energy, take a trip to Kirstenbosch Botanic Gardens. With a fun treetop canopy walkway, beautiful gardens and plenty of space to run around it makes for a great morning out. For the history buff and families with older children, a visit to Robben Island and the townships offers some insight into the countries’ tumultuous political history and the impact of apartheid on the South African people. Just outside the city, a day trip to one of the world famous wine regions of Stellenbosch or Franschhoek is essential. Many wineries offer tastings in a relaxed family friendly environment. Cape Town is in the southern hemisphere so the best time to visit is October to April. Avoid the busy summer period and instead visit during February to April or October to November when visitor numbers have dropped but the weather is still warm. With this comprehensive list of family-friendly cities in the world, planning our future travels has been made easy. With cities on every continent suitable for a family vacation, we’re sure to visit some amazing places. 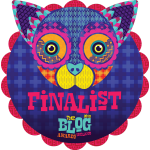 Thanks to all my fellow travel bloggers for helping put this post together. Are there any cities you would add to this great list? *All pictures were provided by the blogger contributing to the post. Very useful article for those travelling with Kids. Thanks for sharing! Wow, this is quite a list! Really useful to read the Swiss ones as we’re hoping to visit next summer. I love this – what a fab city guide! I never think of cities as family friendly but this proved me wrong! We lived in Berlin for six years, and I agree, it’s very family friendly. My boys’ favourite museums were the Natural History Museum and the Technology Museum. We also loved the many fantastic themed playgounds all around the city – we had a Wild West themed one near our house! I remember you mentioning some of the playgrounds in Berlin in your blog posts while you were still living there and I was always impressed by them. I have been to a majority of these cities and can testify to them being family friendly. There are some on here that I would love to visit as a solo traveler. What a fantastic resource for planning a family city break! I wouldn’t have thought about Paris, as it’s so expensive, but if you can afford it I totally agree re the food options and all the lovely walks. Vilnius too, at the opposite end of the cost spectrum – I was there this year and found it charming. London and other cities in the UK are always family friendly. Paris and many other European cities are not from my experience. Especially when you have younger babies. Loads of inspiration here! We’re looking to start exploring more now the kids a little bit older. I really want to visit Copenhagen. Love this! It’ll be a good guide for our next family adventure. This was a great and interesting post to read, I don’t have a family yet so can only really comment as a solo traveller. I’ve been to all the UK ones you list (because that’s where I come from), Rome and Bergen too. I liked Bergen but it was really expensive for a couple so no idea what it would be like for a family of more .- the fjords are amazing though!